The Fours are the English hills at and above 400m and below 500m in height that have a minimum drop of 30m. Accompanying the main P30 list are three sub lists; these are the 400m Sub-Four, 390m Sub-Four and 390m Double Sub-Four category’s, with their criteria detailed in the respective Change Registers that are linked in their above titles, with the Introduction to this list being published on Mapping Mountains on the 22nd December 2013. The list is co-authored by Myrddyn Phillips and Aled Williams and the posts that have appeared on Mapping Mountains detailing the significant name changes to the main P30 list and the sub lists appear below presented chronologically in receding order. There has been a Significant Name Change to a hill that is listed in The Fours, with the details for the hill initiated by LIDAR analysis conducted by Aled Williams. 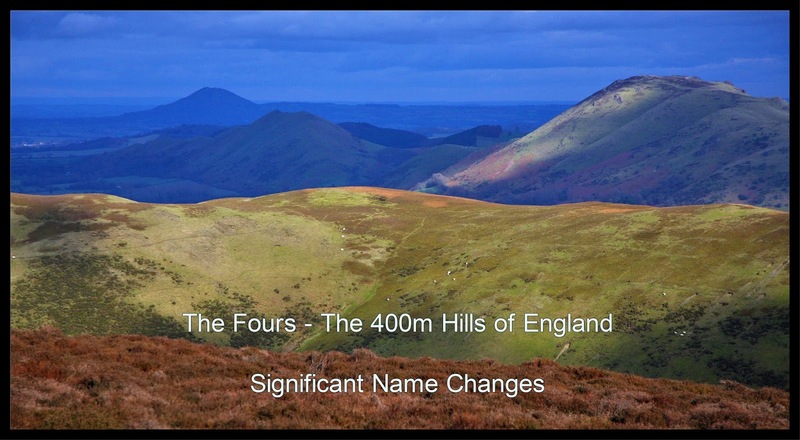 The Fours is the title for the list of 400m hills of England and is co-authored by Myrddyn Phillips and Aled Williams with the 2nd edition of the booklet containing this list published by Mapping Mountains Publications on the 24th April 2018. English hills at or above 400m and below 500m in height that have 30m minimum drop, accompanying the main list of The Fours are three categories of sub hills, with this hill being classified in the 400m Sub-Fours. The criteria for 400m Sub-Four status are all English hills at or above 400m and below 500m in height that have 20m or more and below 30m of drop. The hill is situated in Region 41 South-Central England, with its Cardinal Hill being Dunkery Beacon (SS 891 415). The hill is positioned with the B3223 road to its west and the B3224 road to its south, and has the small community of Simonsbath towards the south-west. This hill was not included when the listing that is now known as The Fours was originally compiled as it did not meet the criteria then used for the Hills to be surveyed sub list, and therefore it was not included when the list was uploaded to the RHB Yahoo group file database. 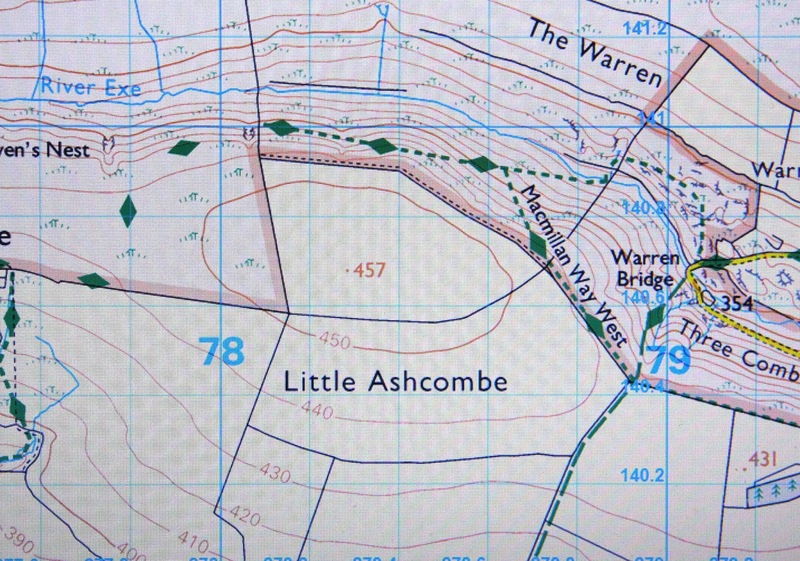 Subsequently the hill was listed under the name of Little Ashcombe in the 1st edition of The Fours when the list was published by Europeaklist in December 2013. Hill list authors are prone to list a hill by the name that appears nearest to its summit on contemporary Ordnance Survey maps, with little consideration for its local or historical confirmation, or whether map placement is appropriate, and in the case of this hill it was research conducted by Aled that concluded the name of Ashcombe Hill to be more appropriate for this hill than that of Little Ashcombe, which is evidenced by the name of Ashcombe Hill appearing on historic Ordnance Survey maps. 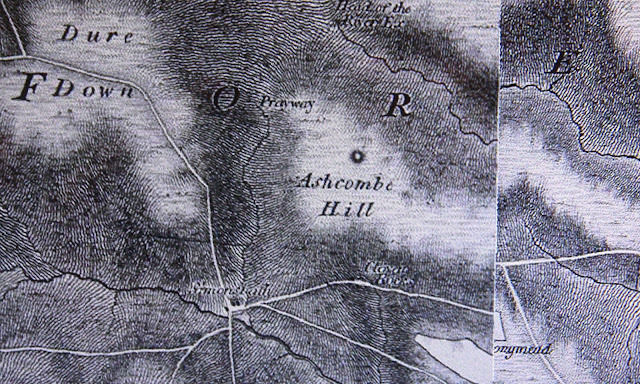 Therefore, the name this hill is now listed by in The Fours is Ashcombe Hill and this was derived from studying historic Ordnance Survey maps. The hill is situated in Region 40 Cornwall and Devon, with its Cardinal Hill being Dunkery Beacon (SS 891 415). The hill is positioned with the A39 road to its north-west and the B3358 road to its south, and has the small community of Parracombe towards the west north-west. This hill was not included when the listing that is now known as The Fours was originally compiled as it did not meet the criteria then used for the Hills to be surveyed sub list, and therefore it was not included when the list was uploaded to the RHB Yahoo group file database. 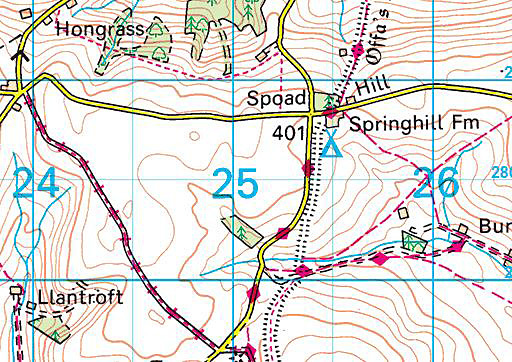 There are two 480m spot heights given on the Ordnance Survey 1:50,000 Landranger and 1:25,000 Explorer maps which are associated with this hill, and it was the 480m summit spot height and its position on Wood Barrow (SS 716 425) that was given as that of the summit of this hill in the 1st edition of The Fours when published by Europeaklist in December 2013, with an accompanying note stating; Although Chapman Barrows at SS 700 434 has a 480m map height, it is not listed as a twin Sub-Four as its 480.093m flush bracket height means natural ground at base of trig pillar will be below 480m. 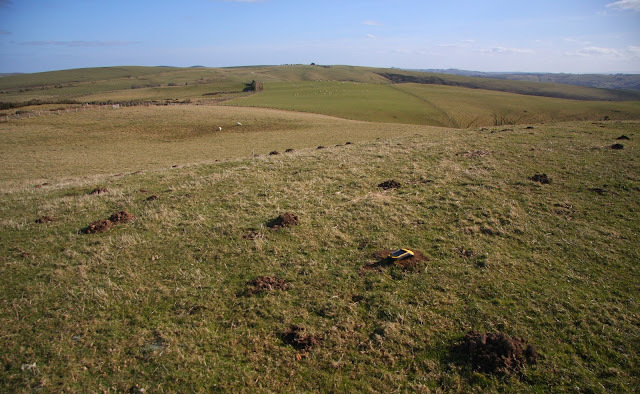 The summit area for both Chapman Barrows and Wood Barrow were analysed via LIDAR by Aled Williams, with both summits having ancient tumuli as their high point, resulting in the summit of Chapman Barrows being 479.8m positioned at SS 70003 43472 and the summit of Wood Barrow being 479.7m positioned at SS 71627 42506. 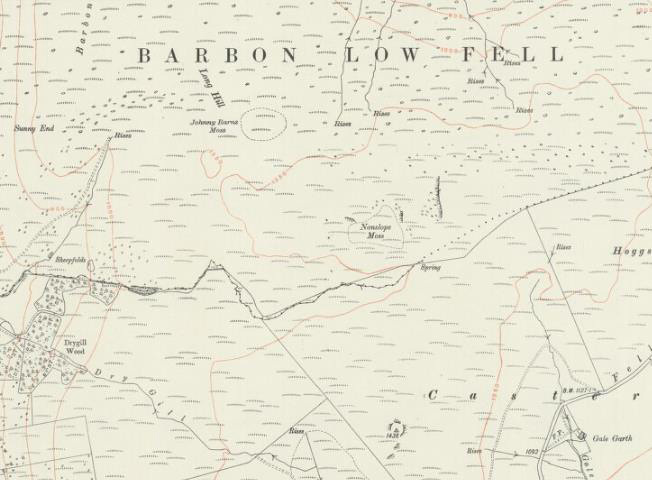 As LIDAR analysis gives Chapman Barrows as higher than Wood Barrow it is the former that is now listed as the 400m Sub-Four resulting in the name of the listed hill and its summit location being amended. Therefore, the name this hill is now listed by in The Fours is Chapman Barrows and this was derived as this summit is higher compared to the old listed summit of Wood Barrow. The hill is situated in South-Central England and is placed in Region 41, with its Cardinal Hill being Dunkery Beacon (SS 891 415). 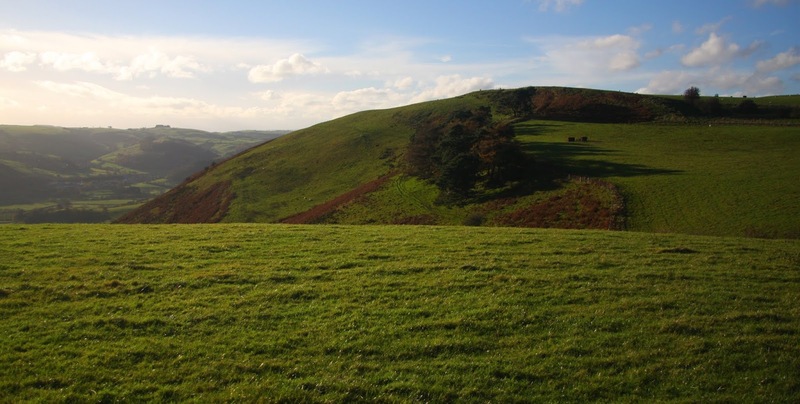 The hill is a part of Exmoor and has the B 3224 road to its north, and the villages of Simonsbath towards the west north-west and Exford towards the east north-east. When the listing that is now known as The Fours was originally compiled this hill appeared under the name of Thornehead Hill [typo; Thornemead Hill], and this was also the name the hill appeared as when the list was uploaded to the RHB Yahoo group file database. Subsequently the hill was listed under the point (Pt. 412m) notation in the 1st edition of The Fours when the list was published by Europeaklist in December 2013. 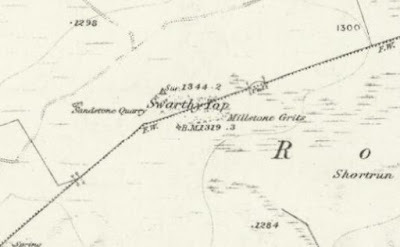 During my early hill listing I thought it appropriate to either invent a name for a hill, or use a name that appeared near to the summit of the hill on Ordnance Survey maps of the day. My preference was to use farm names and put the word Top or Hill after the name. 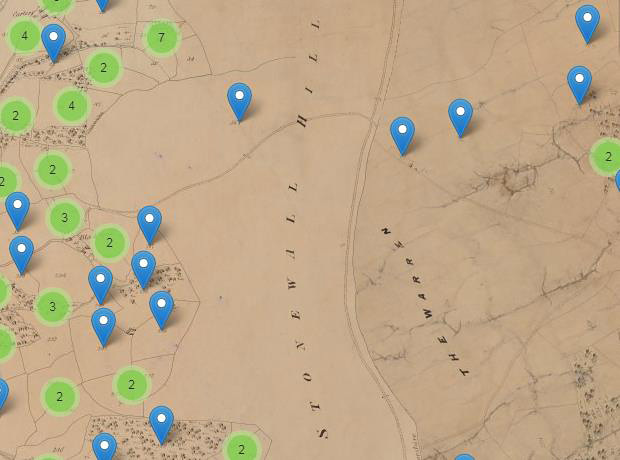 This is not a practice that I now advocate as with time and inclination place-name data can be improved either by asking local people or by examining historic documents, through this form of research an appropriate name for the hill can usually be found. As the summit of this hill comprises bounded land the details for it were examined by on the Tithe map by Aled. 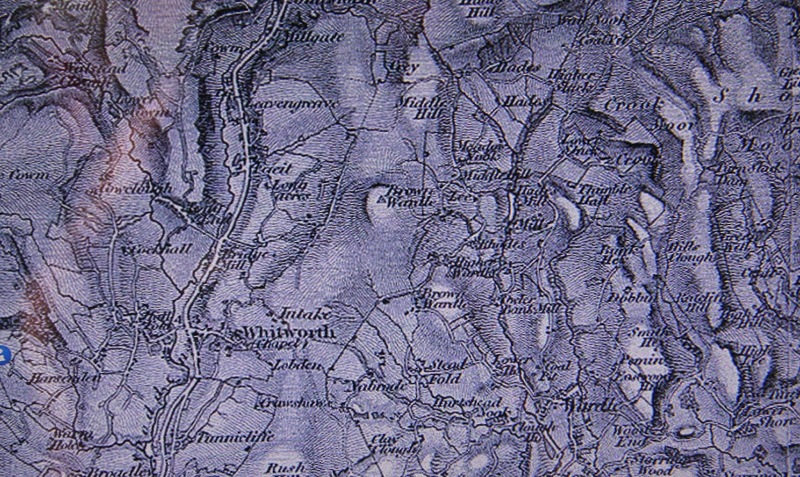 The term Tithe map is generally given to a map of a Welsh or English parish or township and which was prepared after the 1836 Tithe Commutation Act. This act allowed tithes to be paid in cash rather than goods. The Tithe maps gave names of owners and occupiers of land in each parish and importantly for place-name research they also included the name of enclosed land. This enclosed land is usually based on a field system, however not every field is given a name, but many are and these are documented in the apportionments that accompany the Tithe map. The enclosed land where the summit of this hill is situated is given a number on the Tithe map, this can be cross referenced against the apportionments; it is these apportionments that give the name of the owner or occupier of the land as well as the name of the land, and the land where the summit of this hill is situated is named Exford South Common on the Tithe map. 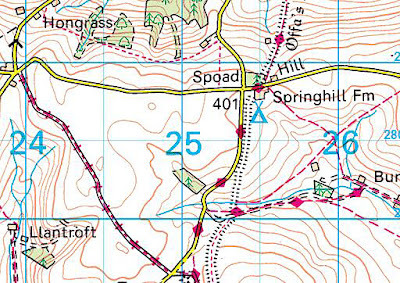 Therefore, the name this hill is now listed by in The Fours is Exford South Common and this was derived from the 1840 Exford Tithe map. The hill is placed in Region 40 Cornwall and Devon with its Cardinal Hill being Ryder’s Hill (SX 659 690). The hill is positioned between the River Plym to its north-west and the River Erme to its south-east, and has the port city of Plymouth towards its south-west. When the listing that is now known as The Fours was originally compiled this hill appeared under the name of Pen Moor, and this was also the name the hill appeared as when the list was uploaded to the RHB Yahoo group file database, with the caveat that it included a name in brackets; Pen Moor (Langcombe Hill). Subsequently the hill was listed as Lee Moor in the 1st edition of The Fours when the list was published by Europeaklist in December 2013. For the 2nd edition of The Fours the hill is reverting to its originally listed name, albeit with the use of a double ‘n’; Penn Moor. 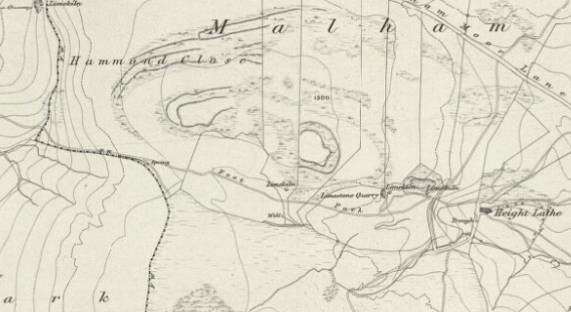 Therefore, the name this hill is now listed by in The Fours is Penn Moor and this was derived from studying contemporary and historic Ordnance Survey maps. The Fours – English hills at or above 400m and below 500m in height that have 30m minimum drop. Accompanying the main list of The Fours are three categories of sub hills, with this hill listed as a 400m Sub-Four. The criteria for 400m Sub-Four status are all English hills at or above 400m and below 500m in height that have 20m or more and below 30m of drop. 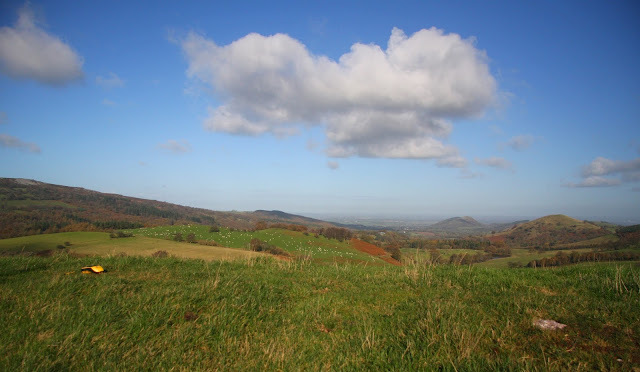 The hill is situated in the Welsh Borders and is placed in Region 38, Section 38A: Shropshire, with its Cardinal Hill being Cilfaesty (SO 128 840). 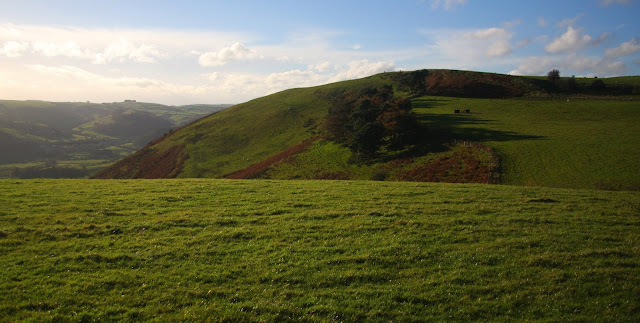 The hill is positioned with the B 4355 road to its south and the B 4368 road to its north, and has the small community of Felindre towards the south and the town of Trefyclo (Knighton) towards the south-east. 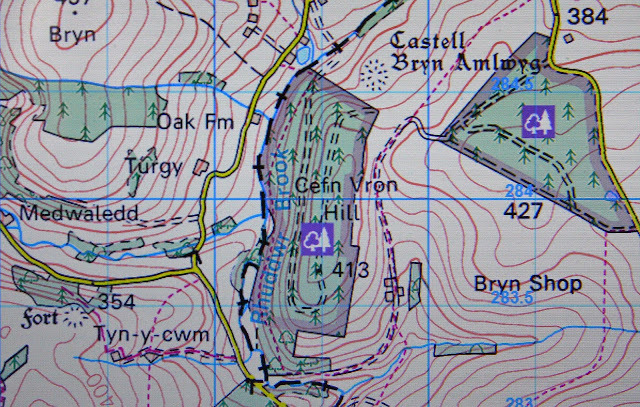 The hill was not included in the listing that is now known as The Fours when originally compiled as it did not at that stage meet the criteria used for the accompanying sub list, this sub list has now been standardised and the hill was listed by its contemporary Ordnance Survey map composition of Cefn Vron Hill in 1st edition of The Fours when the list was published by Europeaklist in December 2013. Where hill names are documented on contemporary Ordnance Survey maps in an anglicised form and the name is proven to have originated from a Welsh form, it is accepted practice that the name should be presented in its original form, and the anglicised form of Cefn Vron Hill in such an example. Therefore, the name composition this hill is now listed by in The Fours is Cefn Fron Hill and this follows the standard and accepted practice for using the Welsh form where a hill name appears as an anglicised form on contemporary Ordnance Survey maps. The hill is situated in the Welsh Borders and is placed in Region 38, Section 38A: Shropshire, with its Cardinal Hill being Cilfaesty (SO 128 840). The hill is positioned with the B 4355 road to its south-west and the A 488 road to its east and has the Offa’s Dyke long distance footpath passing over its summit, and the town of Trefyclo (Knighton) towards its south-east. 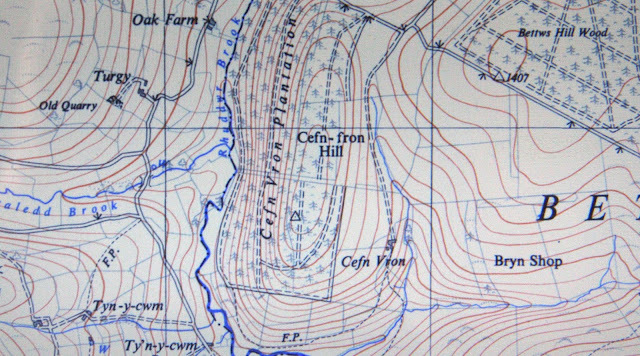 When the listing that is now known as The Fours was originally compiled this hill appeared under its map composition of Cwm-sanaham Hill, this was also the composition it appeared as when the list was uploaded to the RHB Yahoo group file database with the caveat that a capital ‘S’ was used; Cwm-Sanaham Hill. 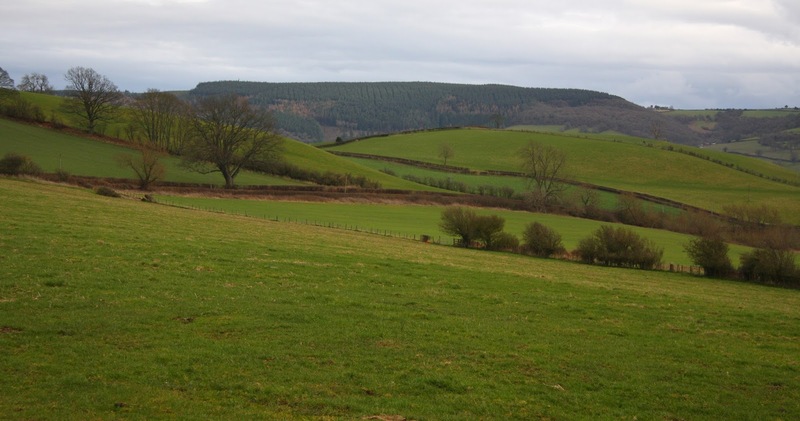 Subsequently the hill was listed as Cwm Sanaham Hill in the 1st edition of The Fours when the list was published by Europeaklist in December 2013. The name is related to that of the farm located at the southern foot of the hill, which has been recorded by the OS as Cwm Sanham (1816), Cwm Sannan (1833), Cwm Sanam (1884) and Cwm Sanaham (1904), with the current registered name of the farm being Cwm Sannum. Locally, the name is pronounced as "Cwm Sannam Hill". Therefore, the name composition this hill is now listed by in The Fours is Cwm Sannam Hill and this was derived from research in to the documenting of this hill’s name coupled with local pronunciation. The hill is situated in the Welsh Borders and is placed in Region 38, Section 38A: Shropshire, with its Cardinal Hill being Stiperstones (SO 367 986). 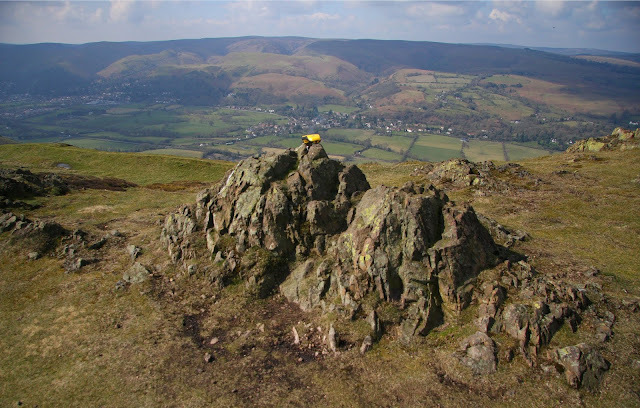 The hill is positioned with the A 49 road to its west, and has the town of Church Stretton towards its south-west. When the listing that is now known as The Fours was originally compiled this hill appeared under the name of Caer Caradoc Hill, this was also the name it appeared as when the list was uploaded to the RHB Yahoo group file database. 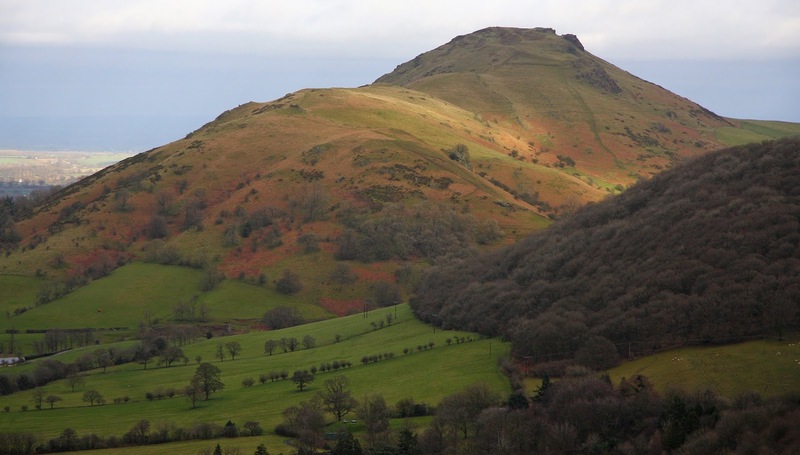 Subsequently the hill was listed as Caer Caradoc Hill in the 1st edition of The Fours when the list was published by Europeaklist in December 2013. 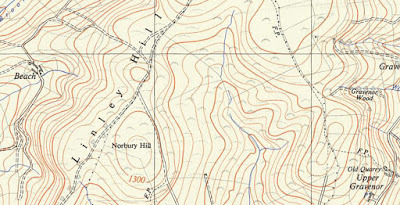 Hill list authors are prone to list a hill by the name that appears nearest to its summit on contemporary Ordnance Survey maps, with little consideration for its local usage and historical confirmation, or whether map placement is appropriate, and in the case of this hill it was research conducted locally that concluded that the word hill is seldom used in relation to this hill and its name, and that it is predominantly known as Caer Caradoc. Therefore, the name this hill is now listed by in The Fours is Caer Caradoc and this was derived from local enquiry. The Fours – English hills at or above 400m and below 500m in height that have 30m minimum drop. Accompanying the main list of The Fours are three categories of sub hills, with this hill being classified in the 400m Sub-Four category. The criteria for 400m Sub-Four status are all English hills at or above 400m and below 500m in height that have 20m or more and below 30m of drop. 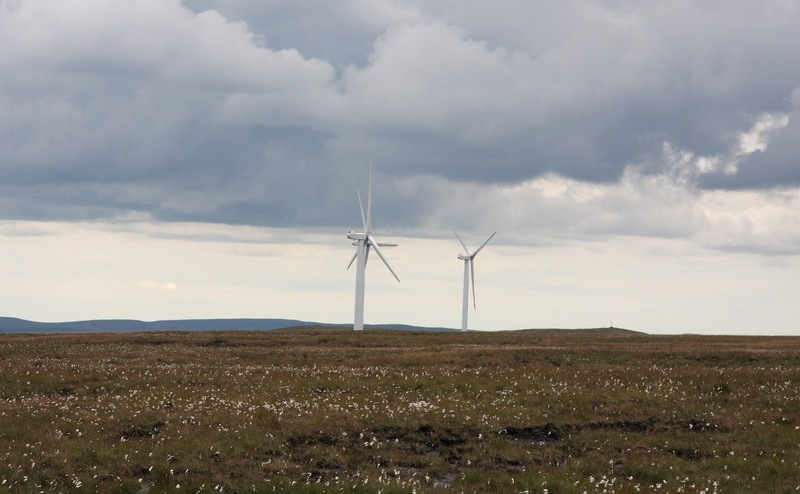 The hill is situated in the Southern Pennines and is placed in Region 36 with its Cardinal Hill being Bleaklow Head (SK 094 960). The hill is positioned with the A 635 road to its immediate south, and has the town of Meltham to the north-east and the village of Marsden to the north-west. This hill was not included in the listing that is now known as The Fours when originally compiled as it did not at that stage meet the criteria then used for the accompanying sub-list, this sub-list has now been standardised and the hill was listed by the name of Little Moss in the 1st edition of The Fours when the list was published by Europeaklist in December 2013. Hill list authors are prone to list a hill by the name that appears nearest to its summit on contemporary Ordnance Survey maps, with little consideration for its local or historical confirmation, or whether map placement is appropriate, and in the case of this hill it was research conducted by Aled that concluded the name of Flake Moss to be more appropriate for this hill than that of Little Moss, which is evidenced by their respective positions on historic Ordnance Survey maps. 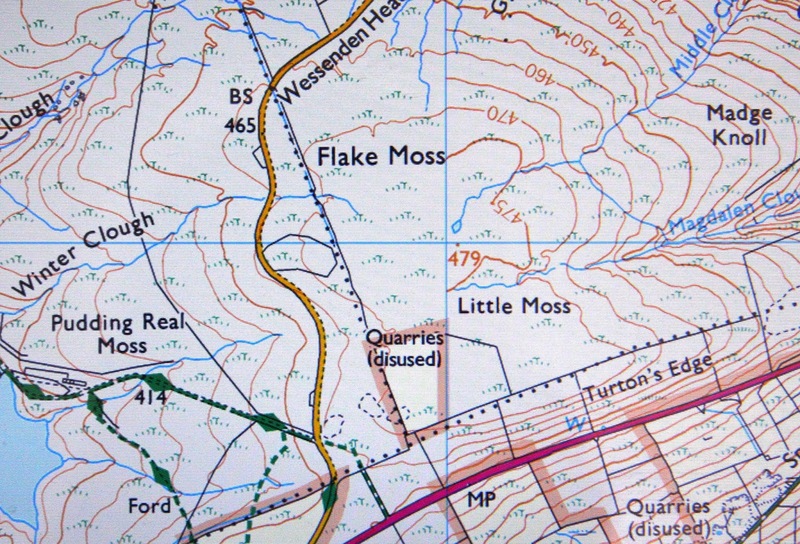 Therefore, the name this hill is now listed by in The Fours is Flake Moss and this was derived from studying contemporary and historic Ordnance Survey maps. The Fours – English hills at or above 400m and below 500m in height that have 30m minimum drop. Accompanying the main list of The Fours are three categories of sub hills, with this hill being classified in the 390m Double Sub-Four category. The criteria for 390m Double Sub-Four status are all English hills at or above 390m and below 400m in height that have 20m or more and below 30m of drop. The hill is situated in the Southern Pennines and is placed in Region 36 with its Cardinal Hill being Way Stone Edge (SD 997 140). The hill is positioned with the A 640 road to its north, the A 663 road to its west and the A 672 road to its south-east, and has the village of Denshaw to the east and the town of Shaw to the south-west. This hill was not included in the listing that is now known as The Fours when originally compiled as it did not at that stage include a sub-list to the hills at or above 390m and below 400m in height. 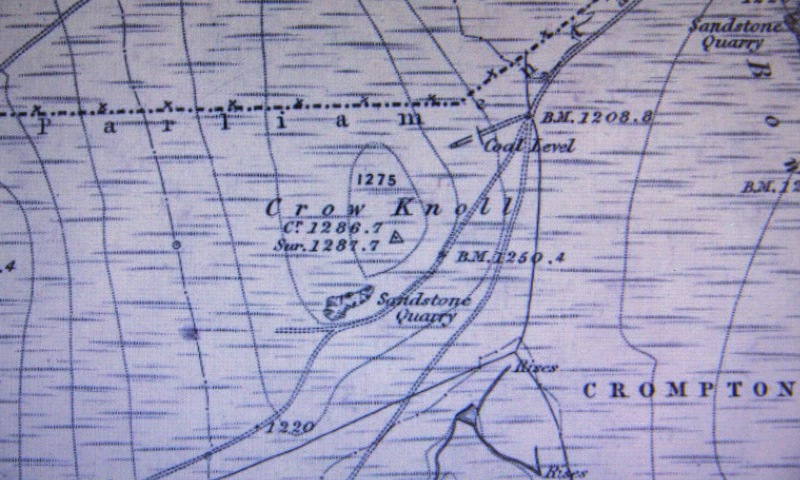 Subsequently the hill was listed as Crow Knowl in the 1st edition of The Fours when the list was published by Europeaklist in December 2013. Hill list authors are prone to list a hill by the name that appears nearest to its summit on contemporary Ordnance Survey maps, with little consideration for its local or historical confirmation, or whether map placement is appropriate, and research conducted by Aled concluded that Ordnance Survey have recorded this hill’s name as both Crow Knoll and Crow Knowl, with the latter being archaic. Therefore, the name this hill is now listed by in The Fours is Crow Knoll and this was derived from historic Ordnance Survey maps. The hill is situated in the Southern Pennines and is placed in Region 36 with its Cardinal Hill being Cowpe Moss (SD 834 193). The hill is positioned with the A 56 road to its west and the A 682 road to its east, and has the town of Accrington towards the west. This hill was not included in the listing that is now known as The Fours when originally compiled as it did not at that stage include a sub-list to the hills at or above 390m and below 400m in height. 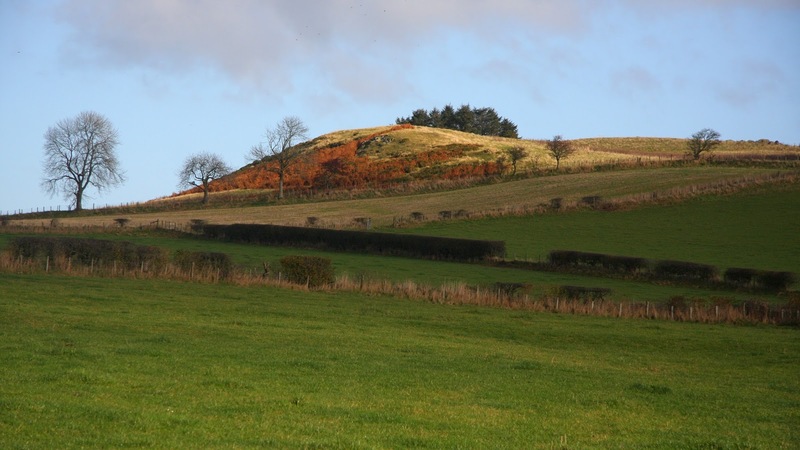 Subsequently the hill was listed as Hameldon Hill in the 1st edition of The Fours when the list was published by Europeaklist in December 2013. Hill list authors are prone to list a hill by the name that appears nearest to its summit on contemporary Ordnance Survey maps, without much consideration for its local or historical confirmation, or whether map placement is appropriate, and research conducted by Aled concluded that Ordnance Survey maps suggest that the name Hameldon Hill applies to an area of upland including the neighbouring hill of Great Hameldon, whilst the name of Great Hill appears adjacent to this hill’s summit on the series of Ordnance Survey Six-Inch maps. 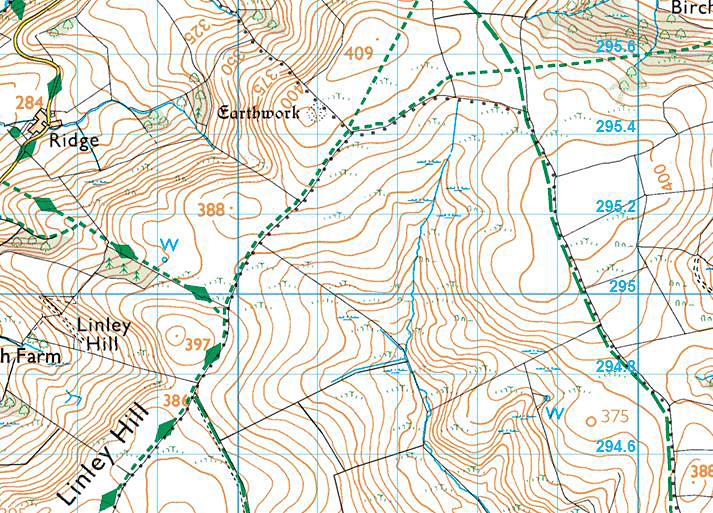 Therefore, the name this hill is now listed by in The Fours is Great Hill and this was derived from historic Ordnance Survey maps. The hill is situated in the Southern Pennines and is placed in Region 36 with its Cardinal Hill being Cowpe Moss (SD 834 193). The hill is positioned with the A 671 road to its west and the A 6033 road to its east, and has the town of Rochdale towards the south. 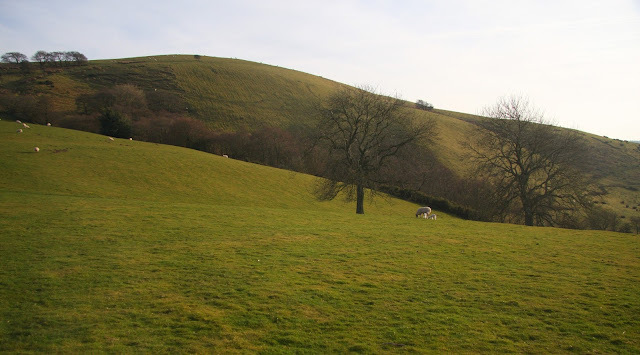 When the listing that is now known as The Fours was originally compiled this hill appeared under the name of Brown Wardle Hill, and this was also the name the hill appeared as when the list was uploaded to the RHB Yahoo group file database. 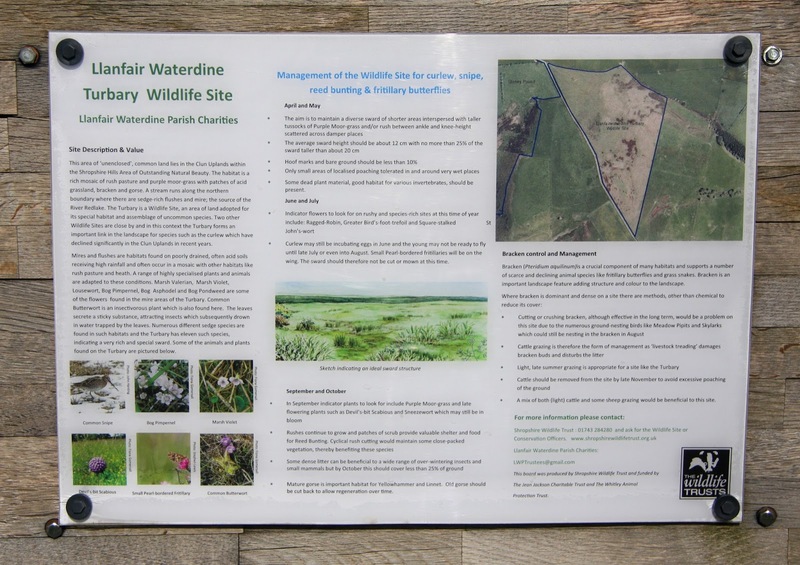 Subsequently the hill was listed as Brown Wardle Hill in the 1st edition of The Fours when the list was published by Europeaklist in December 2013. Hill list authors are prone to list a hill by the name that appears nearest to its summit on contemporary Ordnance Survey maps, without much consideration for its local or historical confirmation, or whether map placement is appropriate, and after research conducted by Aled showing that this hill’s name is presented as Brown Wardle and Brown Wardle Hill on historical and contemporary Ordnance Survey maps respectively, the decision was taken to prioritise the name of Brown Wardle for The Fours. 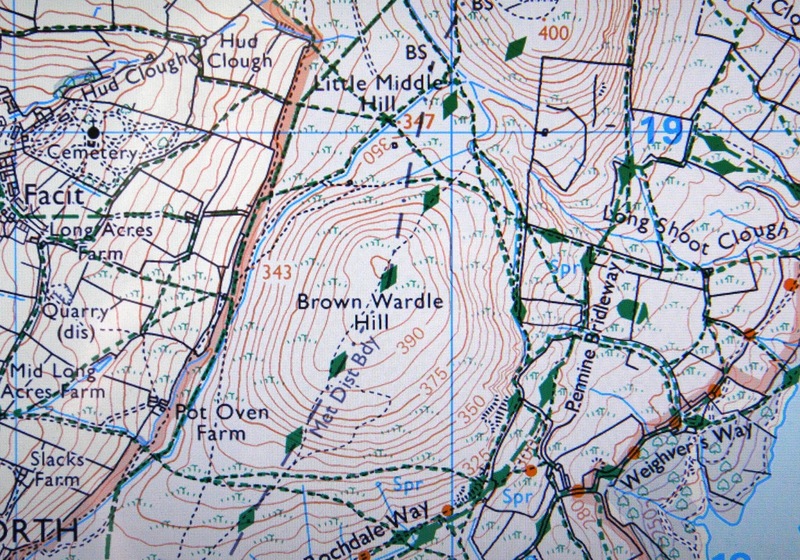 Therefore, the name this hill is now listed by in The Fours is Brown Wardle and this was derived from historic Ordnance Survey maps. The hill is situated in the Southern Pennines and is placed in Region 36 with its Cardinal Hill being Cowpe Moss (SD 834 193). The hill is positioned with the A 56 road to its west and the A 682 road to its east, and has the town of Haslingden towards the south-west and Rawtenstall towards the south-east. When the listing that is now known as The Fours was originally compiled this hill appeared under the name of Cribden Hill, and this was also the name the hill appeared as when the list was uploaded to the RHB Yahoo group file database. 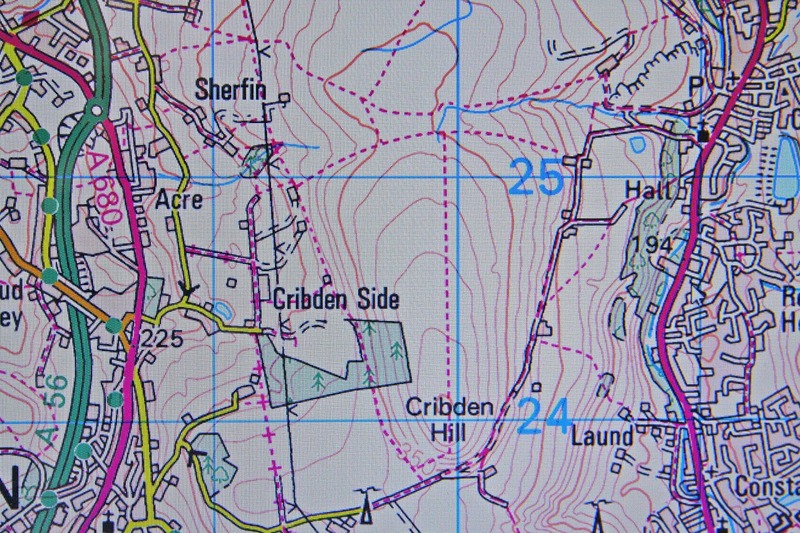 Subsequently the hill was listed as Cribden Hill in the 1st edition of The Fours when the list was published by Europeaklist in December 2013. 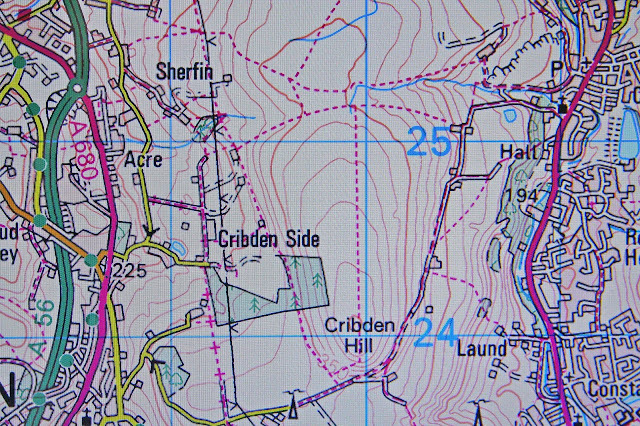 Hill list authors are prone to list a hill by the name that appears nearest to its summit on contemporary Ordnance Survey maps, without much consideration for its local or historical confirmation, or whether map placement is appropriate, and in the case of this hill it was research conducted by Aled to names used in a number of historical documents that concluded that the name of Cridden is more appropriate for this hill. Therefore, the name this hill is now listed by in The Fours is Cridden and this was derived from a variety of historic documents. The hill is situated in the Southern Pennines and is placed in Region 36 with its Cardinal Hill being Ward’s Stone (SD 591 587). The hill is positioned with the M6 to its west and the B 6478 road to its east, and has the village of Dunsop Bridge towards the north-east and Chipping towards the south south-west. When the listing that is now known as The Fours was originally compiled this hill appeared under the name of Totridge, and this was also the name the hill appeared as when the list was uploaded to the RHB Yahoo group file database. Subsequently the hill was listed as Totridge in the 1st edition of The Fours when the list was published by Europeaklist in December 2013. Hill list authors are prone to list a hill by the name that appears nearest to its summit on contemporary Ordnance Survey maps, without much consideration for its local or historical confirmation, or whether map placement is appropriate, and in the case of this hill it was research conducted by Aled to names used on older Ordnance Survey maps including the series of Six-Inch maps that concluded that the name of Totridge Fell is a more appropriate name for this hill. Therefore, the name this hill is now listed by in The Fours is Totridge Fell and this was derived from a variety of older Ordnance Survey maps including that of the series of Six-Inch maps. The hill is situated in the Central Pennines and is placed in Region 35, Section 35B with its Cardinal Hill being Pen y Ghent (SD 838 733). The hill is positioned with the B 6160 road and the River Wharfe to its east, and has the village of Threshfield towards the east south-east and Malham towards the west south-west. When the listing that is now known as The Fours was originally compiled this hill appeared under the name of Malham Moor, and this was also the name the hill appeared as when the list was uploaded to the RHB Yahoo group file database. Subsequently the hill was listed under the point (Pt. 411m) notation in the 1st edition of The Fours when the list was published by Europeaklist in December 2013. 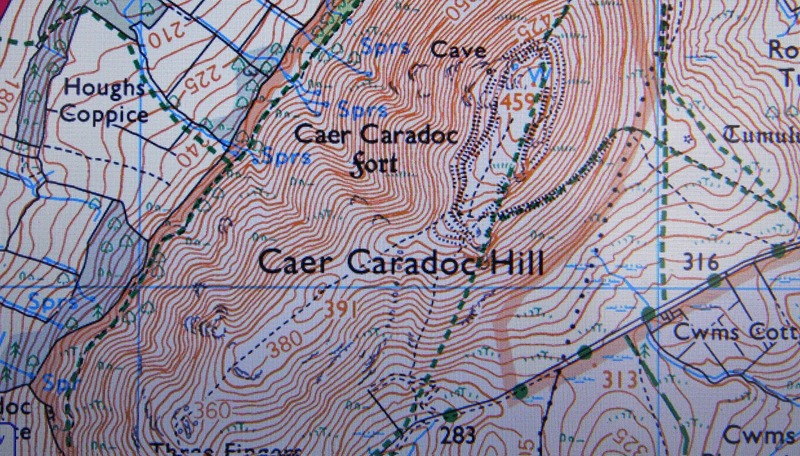 Hill list authors are prone to list a hill by the name that appears nearest to its summit on contemporary Ordnance Survey maps, without much consideration for its local or historical confirmation, or whether map placement is appropriate, and in the case of this hill it was research conducted by Aled to names used on the Ordnance Survey series of Six-Inch maps that concluded that the name of Hammond Close is a more appropriate name for this hill. 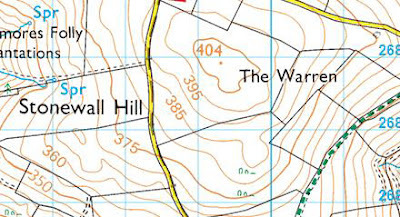 Therefore, the name this hill is now listed by in The Fours is Hammond Close and this derived from the Ordnance Survey series of Six-Inch maps. The hill is situated in the Central Pennines and is placed in Region 35, Section 35B with its Cardinal Hill being Whernside (SD 738 814). The hill is positioned with the A 65 road to its south-west and the B 6479 road to its east, and has the village of Austwick towards the south-west and the village of Horton in Ribblesdale towards the north-east. When the listing that is now known as The Fours was originally compiled this hill appeared under the name of Moughton, and this was also the name the hill appeared as when the list was uploaded to the RHB Yahoo group file database. Subsequently the hill was listed as Moughton in the 1st edition of The Fours when the list was published by Europeaklist in December 2013. Hill list authors are prone to list a hill by the name that appears nearest to its summit on contemporary Ordnance Survey maps, without much consideration for its local or historical confirmation, or whether map placement is appropriate, and in the case of this hill it was research conducted by Aled to names used on the Ordnance Survey series of Six-Inch maps that concluded that the name of Moughton Scars is a more appropriate name for this hill. 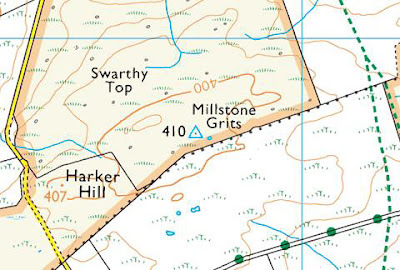 Therefore, the name this hill is now listed by in The Fours is Moughton Scars and this was derived from the Ordnance Survey series of Six-Inch maps. 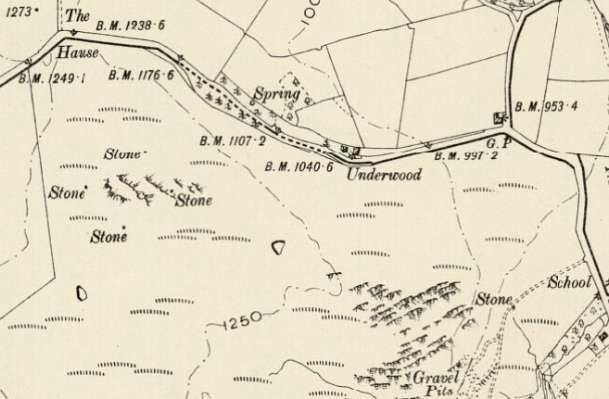 When the listing that is now known as The Fours was originally compiled this hill appeared under the name of Brownthwaite Moss, and when the list was uploaded to the RHB Yahoo group file database the hill appeared under the name of Barbon Low Fell (Brownthwaite Moss). 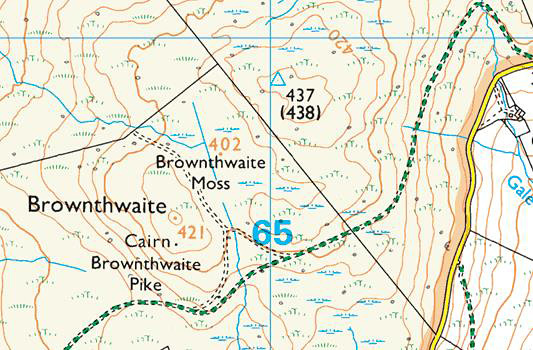 Subsequently the hill was listed as Brownthwaite in the 1st edition of The Fours when the list was published by Europeaklist in December 2013. 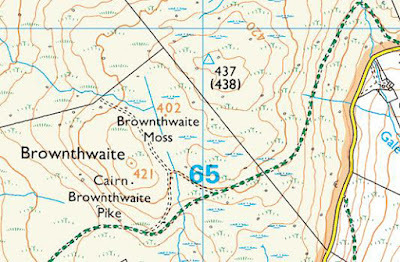 Hill list authors are prone to list a hill by the name that appears nearest to its summit on contemporary Ordnance Survey maps, without much consideration for its local or historical confirmation, or whether map placement is appropriate, and in the case of this hill the name of Brownthwaite Moss is applicable to wet land to the south-west of this hill’s summit, whilst Barbon Low Fell is recorded by the Ordnance Survey as applicable to land to the north of this hill, and the name of Brownthwaite is given as applicable to the 421m map heighted top to the south-west of this hill. Therefore, the name this hill is now listed by in The Fours is Pt. 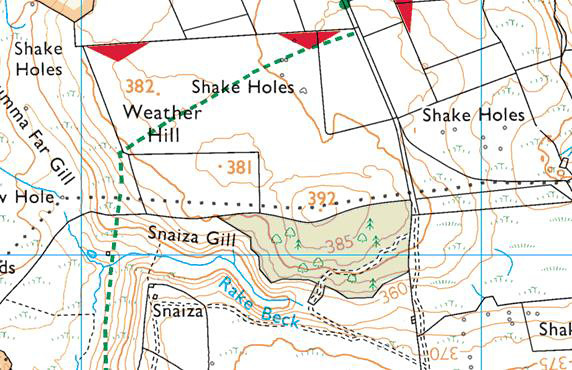 438.2m and this follows the standard practice of using the point notation for hill’s whose name has not been substantiated by the authors either through local enquiry, contemporary maps or from historical documentation. The Fours – English hills at or above 400m and below 500m in height that have 30m minimum drop. Accompanying the main list of The Fours are three categories of sub hills, with this hill listed as a 390m Sub-Four. The criteria for 390m Sub-Four status are all English hills at or above 390m and below 400m in height that have 30m minimum drop. The hill is situated in the Northern Pennines and is placed in Region 35, Section 35A with its Cardinal Hill being Great Shunner Fell (SD 848 972). The hill is positioned with the A 66 road to its north-east and the A 6108 road and the town of Richmond towards its south-east. When the listing that is now known as The Fours was originally compiled this hill was not included as the sub category did not take in hills below 400m in height, however when the list was uploaded to the RHB Yahoo group file database the hill was listed as unnamed summit. Subsequently the hill was listed as Weather Hill in the 1st edition of The Fours when the list was published by Europeaklist in December 2013. 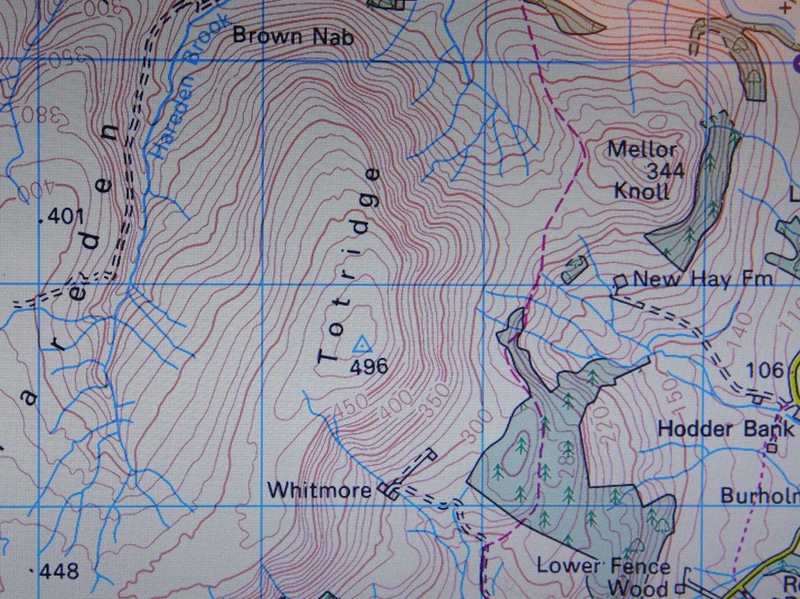 Hill list authors are prone to list a hill by the name that appears nearest to its summit on contemporary Ordnance Survey maps, without much consideration for its local or historical confirmation, or whether map placement is appropriate, and in the case of this hill Ordnance Survey 1:25,000 Explorer maps position the name of Weather Hill adjacent to a 382m map heighted top and to the north-west of the summit of this hill. Since the original publication of this list on the RHB Yahoo Group file database there have been a number of Ordnance Survey maps made available online, some of these are historical such as the series of Six-Inch maps on the National Library of Scotland website, whilst others are current and digitally updated such as the Interactive Coverage Map hosted on the Geograph website. 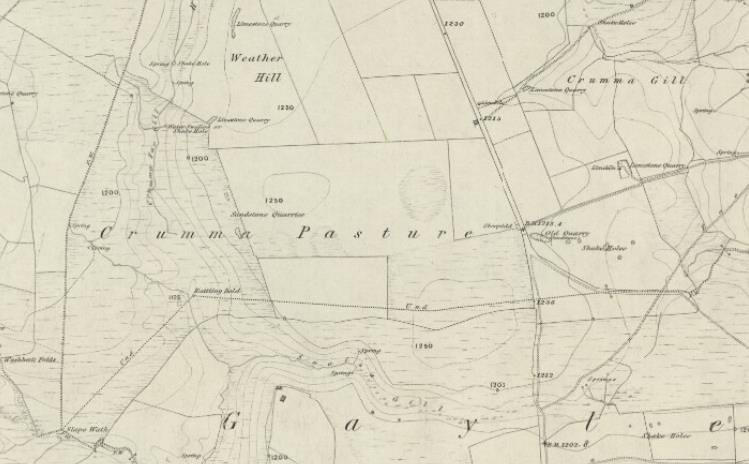 Two of the historical maps now available are the Ordnance Survey Draft Surveyors map which formed the basis for the Ordnance Survey One-Inch ‘Old Series’ map, and it was the latter of these maps as well as the Six-Inch map that position the name of Crumma Pasture adjacent to this hill. The One-Inch ‘Old Series’ was the first map that Ordnance Survey published, and they were based on the preceding Draft Surveyors map. 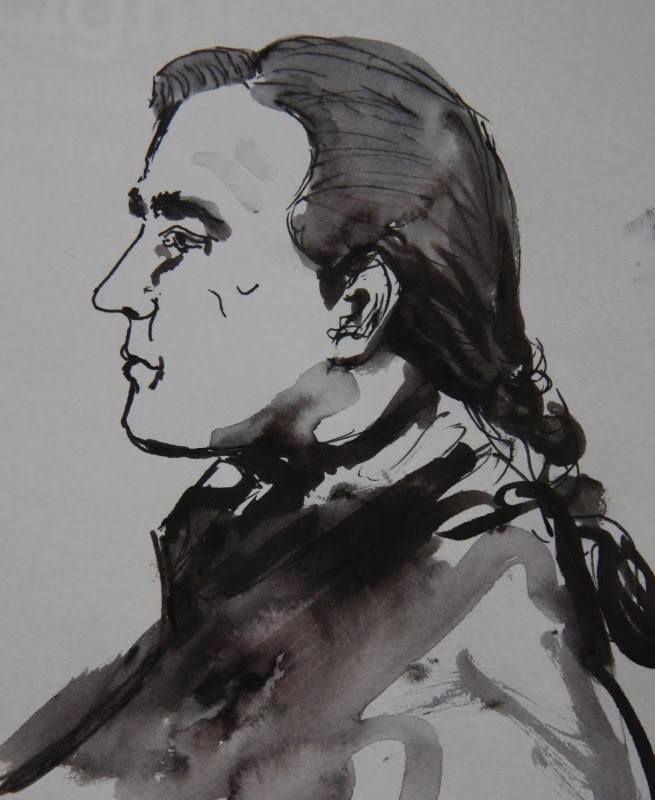 Their publication culminated from the whole of Britain being surveyed between 1791 and 1874 and the detail gathered therein produced at a scale of one inch to the mile and published in sheet format between 1805 and 1874. The One-Inch ‘Old Series’ maps for the whole of England are now available online, they are also available in map format as enlarged and re-projected versions to match the scale and dimensions of the Ordnance Survey 1:50,000 Landranger series and are published by Cassini. This series of maps forms another important part in the study of upland place-names and bridge the time frame leading to the production of the Ordnance Survey base map of the Six-Inch series. 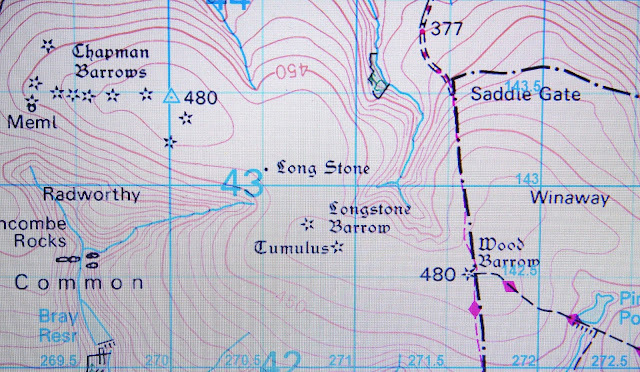 For many years The Ordnance Survey Six-Inch map was the base map for information to be fed on to, the scale was superseded in the 1950s by the 1:10,000 series of maps and was available as sheets until the 1980s when they were digitised. 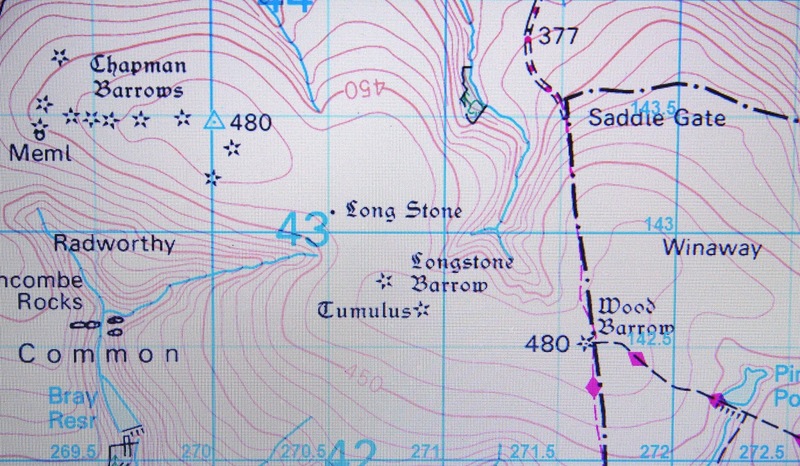 One of the recurring themes of Ordnance Survey maps is that some of the data are not consistent between the different scales of maps available, this is particularly noticeable for numerical data between the two publicly available scales of 1:50,000 Landranger and 1:25,000 Explorer maps. However, when studying place-names it is also noticeable that name placement and sometimes composition is not consistent between these lower scaled maps and their larger scaled and older maps of the Six-Inch series. It is also noticeable that some names appear on the Six-Inch map whilst they do not appear on the smaller scaled maps. Extensive research has shown that place-name data and numerical data on the series of Six-Inch maps, and especially so for the former’s placement, are more appropriate and accurate compared too much of the information on contemporary maps. 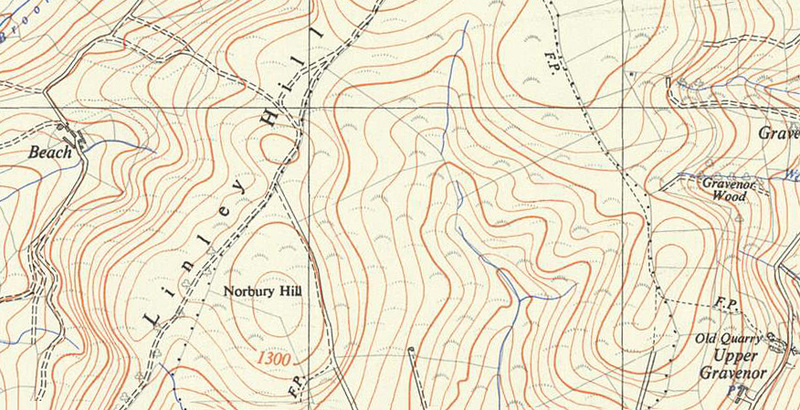 Therefore, the name this hill is now listed by in The Fours is Crumma Pasture and this was derived from the Ordnance Survey One-Inch ‘Old Series’ map as well as the Ordnance Survey Six-Inch map, with map placement for the name of Weather Hill favouring land to the north-west of this hill’s summit. The hill is situated in the Sothern Fells of the Lake District and is placed in Region 34, Section 34D with its Cardinal Hill being The Old Man of Coniston (SD 272 978). The hill is positioned between the steam valleys of the Greenburn Beck to the north-west and the Pierce How Beck and the Yewdale Beck towards the south-east, and has the small community of Little Langdale towards the north-east. 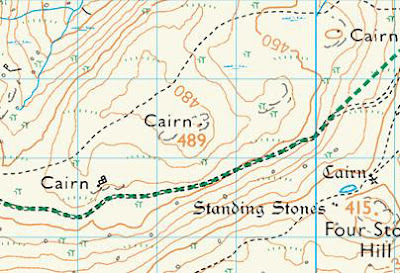 When the listing that is now known as The Fours was originally compiled this hill was not included as it did not meet the criteria then used, however this list has now been standardised and interpolated height and drop values also added, it was subsequently listed under the name of High Fell in the 1st edition of The Fours when the list was published by Europeaklist in December 2013. 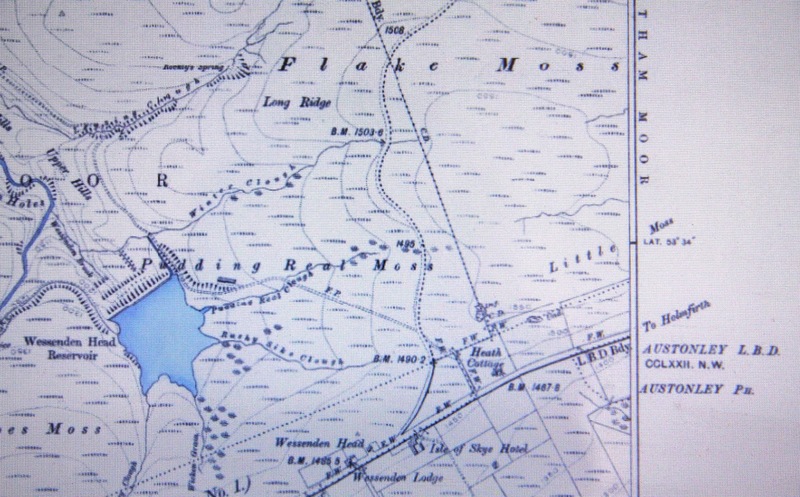 Prior to publication of the 2nd edition of The Fours enquiries were made with two well-known Lake District guide book authors, resulting in a non-committal reply in regard to the name of High Fell, and the advice that ‘one would need to talk to genuine locals and shepherds to give definitive answers’. 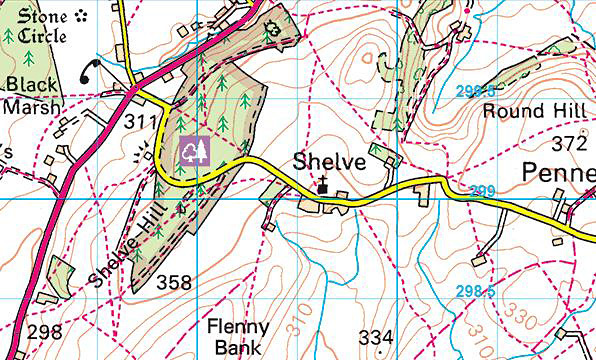 Therefore, the name this hill is now listed by in The Fours is Pt. 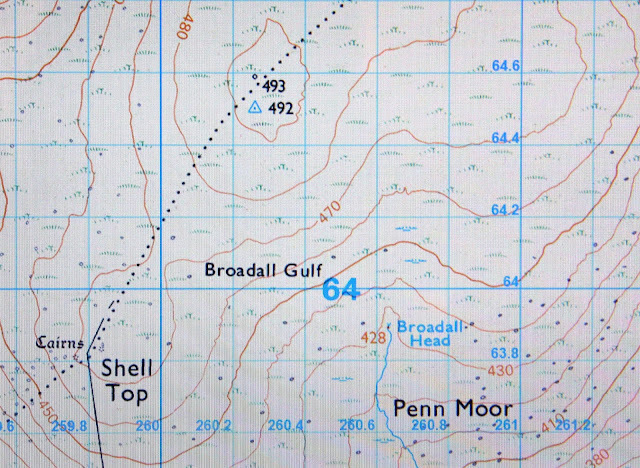 428m and this follows the standard practice of using the point notation for hill’s whose name has not been substantiated by the authors either through local enquiry, contemporary maps or from historical documentation. The Fours – English hills at and above 400m and below 500m in height that have 30m minimum drop. Accompanying the main list of The Fours are three categories of sub hills, with this hill listed as a 400m Sub-Four. The criteria for 400m Sub-Four status are all English hills at and above 400m and below 500m in height that have 20m and more and below 30m of drop. The hill is situated in the Eastern Fells of the Lake District and is placed in Region 34, Section 34C with its Cardinal Hill being High Street (NY 440 110). The hill is positioned with the expanse of Haweswater Reservoir to its west, and has the small community of Burnbanks towards the north-east. 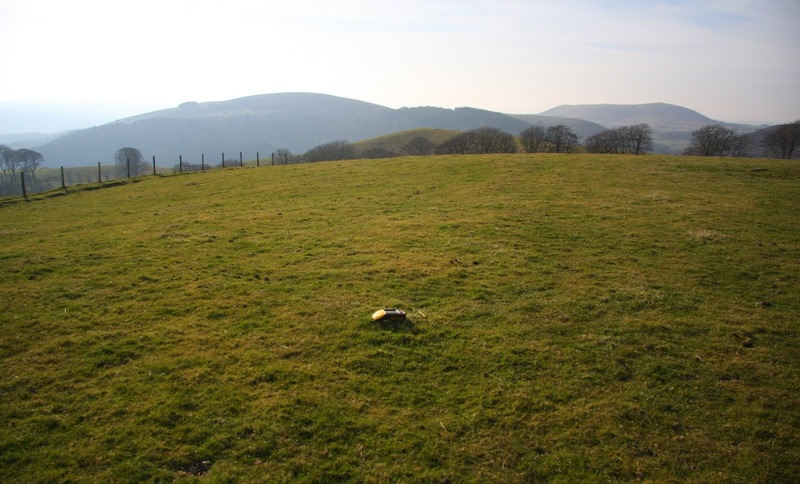 When the listing that is now known as The Fours was originally compiled this hill appeared under the name of Kit Crag, this was also the name it appeared as when the list was uploaded to the RHB Yahoo group file database. 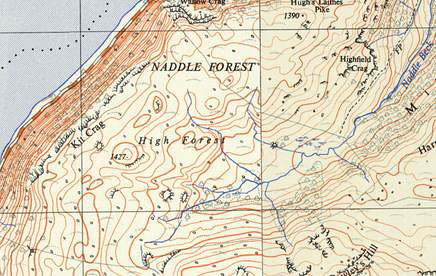 Subsequently the hill was listed as Naddle High Forest in the 1st edition of The Fours when the list was published by Europeaklist in December 2013. Prior to publication of the 2nd edition of The Fours enquiries were made with two well-known Lake District guide book authors, resulting in the name of Naddle High Forest considered as ‘very possibly correct’, and the advice that ‘one would need to talk to genuine locals and shepherds to give definitive answers’. Therefore, as there is no definite confirmation of Naddle High Forest being an appropriate name for this hill, the name this hill is now listed by in The Fours is High Forest, which is the name appearing nearest the summit of this hill on a number of different scaled Ordnance Survey maps. The hill is situated in the Eastern Fells of the Lake District and is placed in Region 34, Section 34C with its Cardinal Hill being High Street (NY 440 110). The hill is positioned with the expanse of Haweswater Reservoir to its south, and has the small community of Bampton towards the north-east. When the listing that is now known as The Fours was originally compiled this hill appeared under the name of Bampton Common, this was also the name it appeared as when the list was uploaded to the RHB Yahoo group file database. 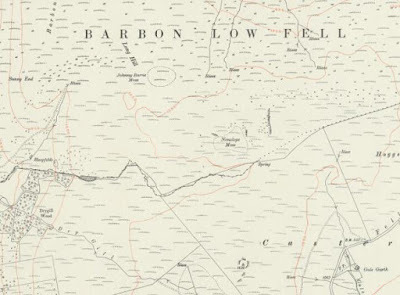 Subsequently the hill was listed as Bampton Fell in the 1st edition of The Fours when the list was published by Europeaklist in December 2013. 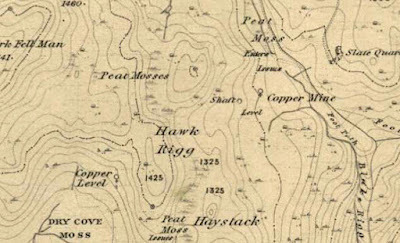 When a hill is seemingly unnamed on the map, hill list compilers are prone to either invent a name for the hill or follow the name given the hill in previous hill listings with little consideration for the name’s local or historical confirmation. 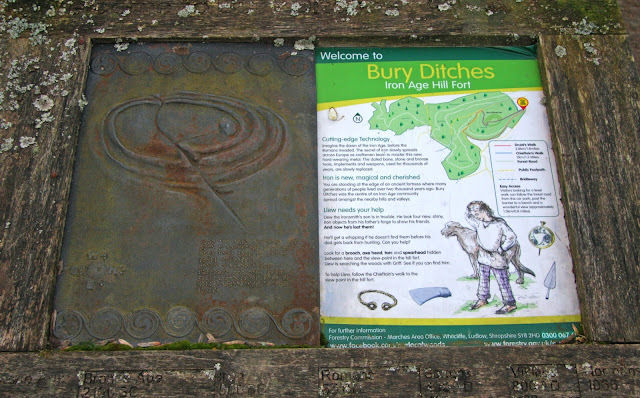 This is not a practice that is now advocated as with time and inclination place-name data can be improved either by asking local people or by examining historical documents, through this form of research an appropriate name for the hill can usually be found, and if a name is not forthcoming the point (Pt. 489m) notation can be used. 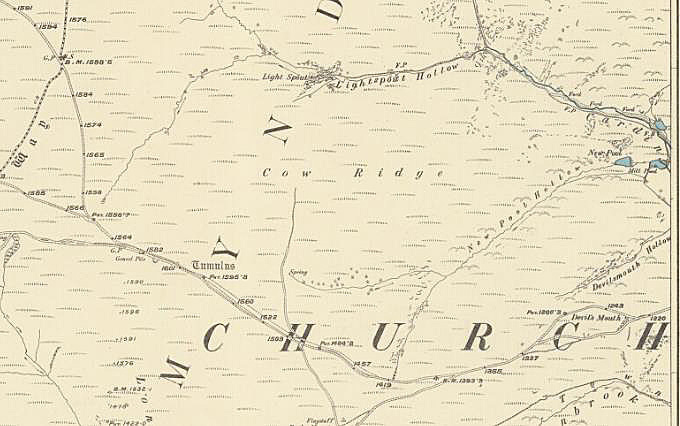 Prior to publication of the 2nd edition of The Fours enquiries were made with two well-known Lake District guide book authors, resulting in the following ‘this top also carries no known local name’, and the advice that ‘one would need to talk to genuine locals and shepherds to give definitive answers’. Therefore, the name this hill is now listed by in The Fours is Pt. 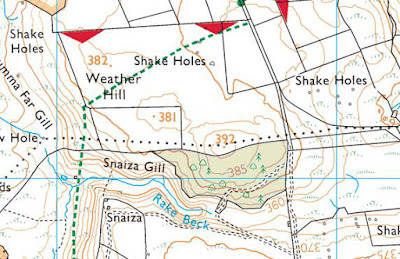 489m and this follows the standard practice of using the point notation for hill’s whose name has not been substantiated by the authors either through local enquiry, contemporary maps or from historical documentation. The hill is situated in the Eastern Fells of the Lake District and is placed in Region 34, Section 34C with its Cardinal Hill being Helvellyn (NY 342 151). The hill is positioned between the A 5091 road to its west and the A 592 road to its east and has a minor road directly to its north, and has the small community of Watermillock towards the east south-east. When the listing that is now known as The Fours was originally compiled this hill appeared under the name of Underwood, this was also the name it appeared as when the list was uploaded to the RHB Yahoo group file database. 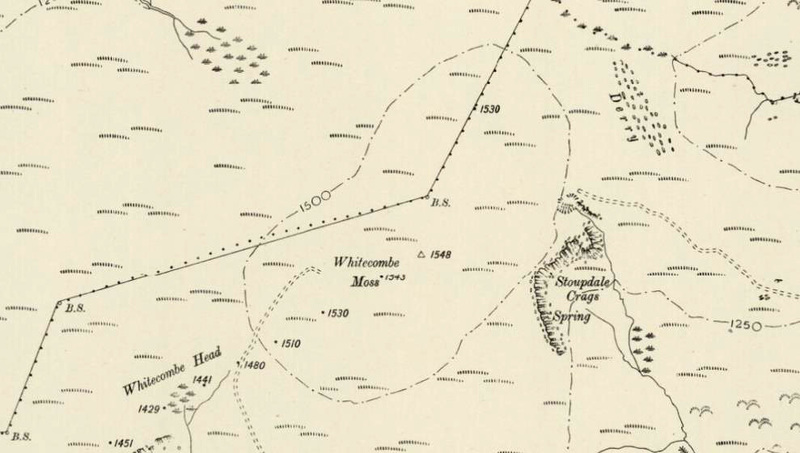 Subsequently the hill was listed as Watermillock Fell in the 1st edition of The Fours when the list was published by Europeaklist in December 2013. 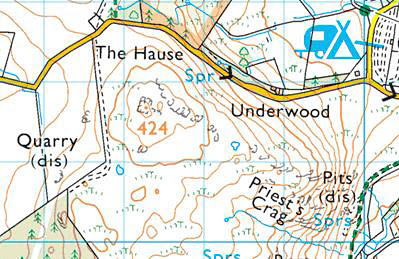 Hill list authors are prone to list a hill by the name that appears nearest to its summit on contemporary Ordnance Survey maps, without much consideration for its local or historical confirmation, or whether map placement is appropriate, and in the case of this hill the name of Underwood has been consistently applied to a feature or a house to the east of the hill. 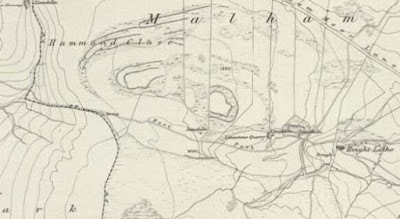 This form of supplanting a name is not a practice that is now advocated as with time and inclination place-name data can be improved either by asking local people or by examining historical documents, through this form of research an appropriate name for the hill can usually be found. 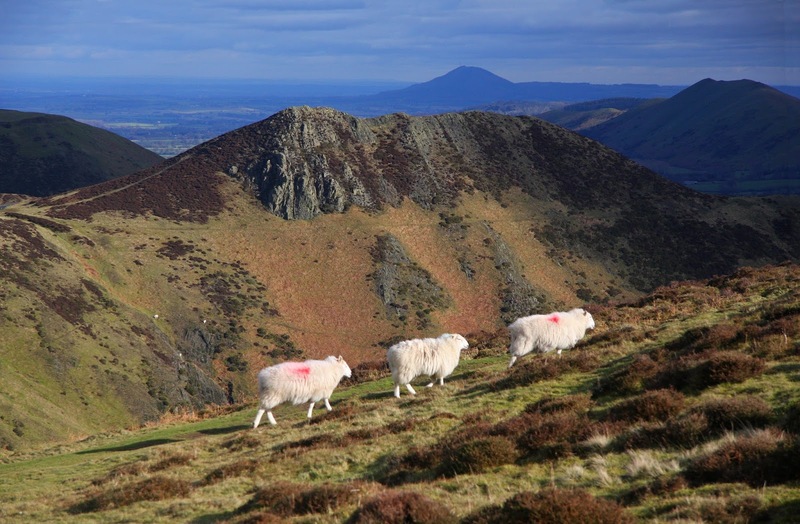 Prior to publication of the 2nd edition of The Fours enquiries were made with two well-known Lake District guide book authors, resulting in this hill being described as ‘nameless’, and the advice that ‘one would need to talk to genuine locals and shepherds to give definitive answers’. Therefore, the name this hill is now listed by in The Fours is Pt. 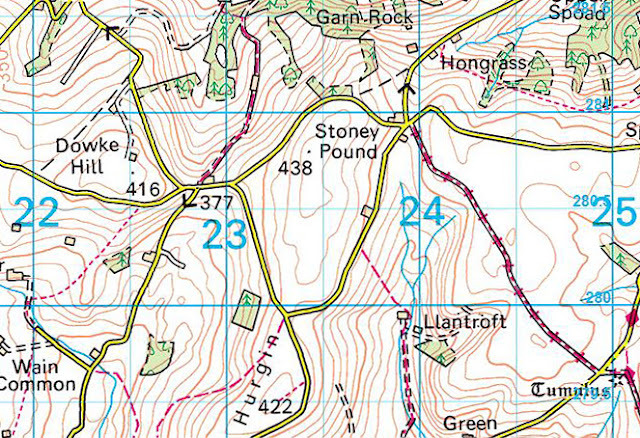 424m and this follows the standard practice of using the point notation for hill’s whose name has not been substantiated by the authors either through local enquiry, contemporary maps or from historical documentation. There has been a Significant Name Change to a hill that is listed in The Fours, with the summit height, drop and status of the hill confirmed by a Trimble GeoXH 6000 survey conducted by Myrddyn Phillips which took place on the 15th February 2018. Accompanying the main list of The Fours are three categories of sub hills, with this hill being classified in the 400m Sub-Four category. The criteria for 400m Sub-Four status are all English hills at and above 400m and below 500m in height that have 20m or more and below 30m of drop. 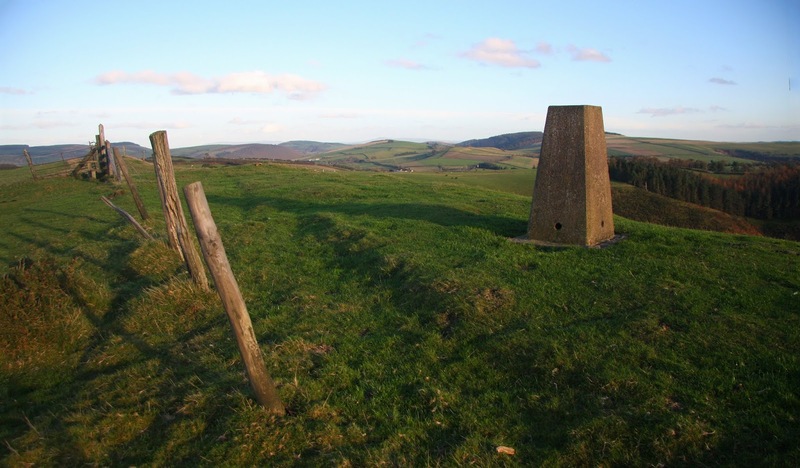 The hill is situated in the Welsh Borders and is placed in Region 38, Section 38B with its Cardinal Hill being Beacon Hill (SO 176 767). The hill is positioned above the B 4355 road which is to its south-west, and is situated between the small community of Norton to the south-west and the town of Trefyclo (Knighton) to the north-west. This hill was not included in the listing that is now known as The Fours when originally compiled as it did not at that stage meet the criteria for the sub-list which was entitled ‘Hills to measure’, this sub-list has now been standardised and therefore this hill is included. When this list was subsequently uploaded to the RHB Yahoo group file database and data then augmented from Clem Clements it appeared listed as; Stonewall Hill (The Warren). 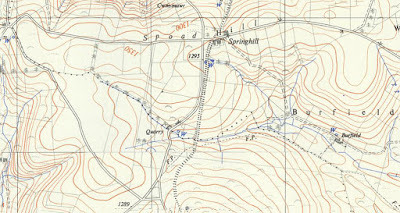 Hill list authors are prone to list a hill by the name that appears nearest to its summit on contemporary Ordnance Survey maps, without much consideration for its local or historical confirmation, or whether map placement is appropriate, and in the case of this hill there are two names that are consistently applied near to its summit on different scaled Ordnance Survey maps, these names are Stonewall Hill and The Warren. 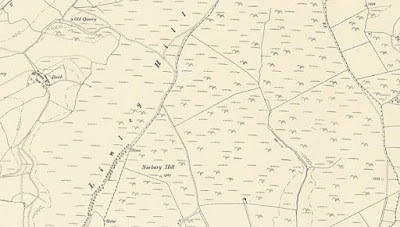 With time and inclination place-name data can be improved either by asking local people or by examining historical documents, through this form of research the most appropriate name for the hill can usually be found, and in the case of this hill it is the series of different scaled Ordnance Survey maps whose placement of the names Stonewall Hill and The Warren have been generally consistent that imply the most appropriate name for this hill is The Warren, however for clarification of the land boundary given to these two names it is the Tithe map that was consulted. 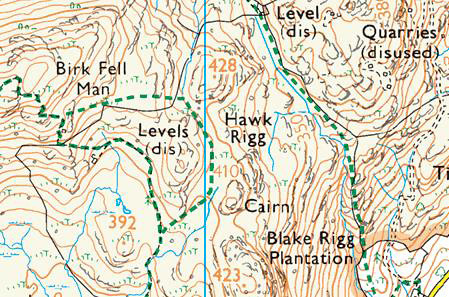 Since the original publication of this list on the RHB Yahoo Group file database there have been a number of Ordnance Survey maps made available online, some of these are historical such as the series of Six-Inch maps on the National Library of Scotland website, whilst others are current and digitally updated such as the Interactive Coverage Map hosted on the Geograph website. 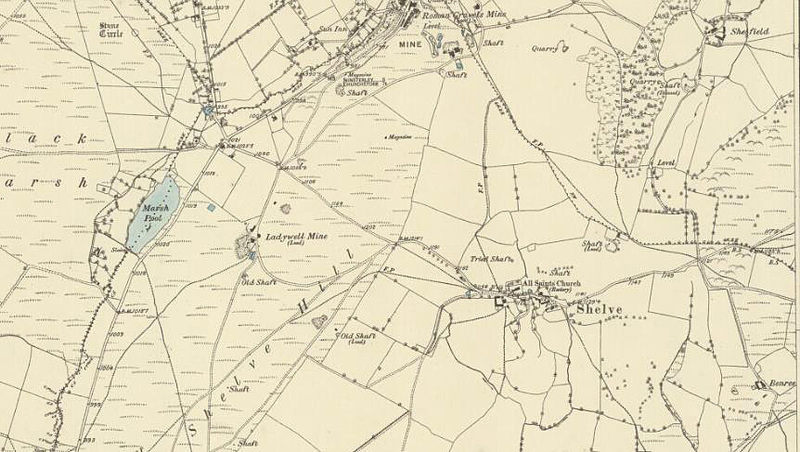 One of the historical maps now available is the One-Inch ‘Old Series’ map which was the first map made publicly available by the Ordnance Survey. The One-Inch ‘Old Series’ was the first map that Ordnance Survey published, and they were based on the preceding Draft Surveyors map. 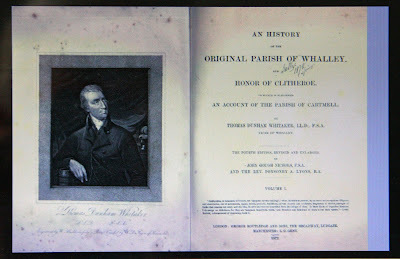 There publication culminated from the whole of Britain being surveyed between 1791 and 1874 and the detail gathered therein produced at a scale of one inch to the mile and published in sheet format between 1805 and 1874. The One-Inch ‘Old Series’ maps for the whole of England are now available online; they are also available in map format as enlarged and re-projected versions to match the scale and dimensions on the Ordnance Survey 1:50,000 Landranger series and are published by Cassini. 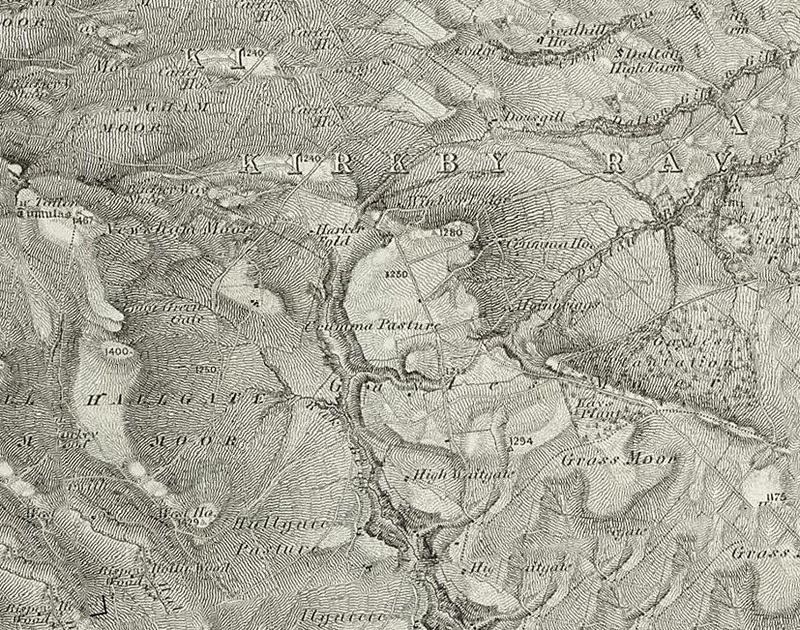 This series of maps forms another important part in the study of upland place-names and bridge the time frame leading to the production of the Ordnance Survey base map of the Six-Inch series. The term Tithe map is generally given to a map of a Welsh or English parish or township and which was prepared after the 1836 Tithe Commutation Act. This act allowed tithes to be paid in cash rather than goods. The Tithe maps gave names of owners and occupiers of land in each parish and importantly for place-name research they also included the name of enclosed land. This enclosed land is usually based on a field system, however not every field is given a name, but many are and especially so in these two countries. The enclosed land where the summit of a hill is situated is usually given a number on the Tithe map, this can be cross referenced against the apportionments; it is these apportionments that give the name of the owner or occupier of the land as well as the name of the land. 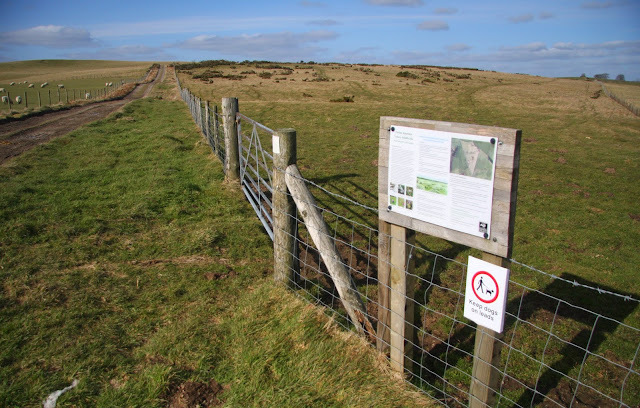 However, in this instance the land where the summit of this hill is situated is named as The Warren, with the land boundary between it and Stonewall Hill being the narrow road to the west of the summit which also forms a part of the designated border between England and Wales. 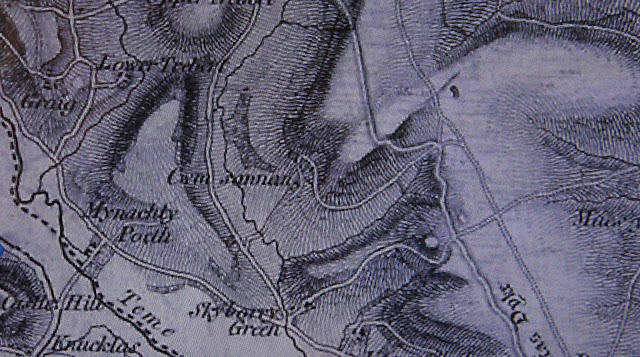 This information appears on the Tithe map for the counties of Hereford and Radnor and in the parish of Presteigne. 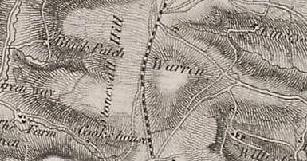 Therefore, the name this hill is listed by in The Fours is The Warren and this was derived from the series of different scaled Ordnance Survey maps and substantiated by the Tithe map. There has been a Significant Name Change to a hill that is listed in The Fours, with the summit height and drop of the hill confirmed by a Trimble GeoXH 6000 survey conducted by Myrddyn Phillips which took place on the 8th March 2017. Accompanying the main list of The Fours are three categories of sub hills, with this hill being classified in the 390m Sub-Four category. The criteria for 390m Sub-Four status are all English hills at and above 390m and below 400m in height that have a minimum 30m of drop. 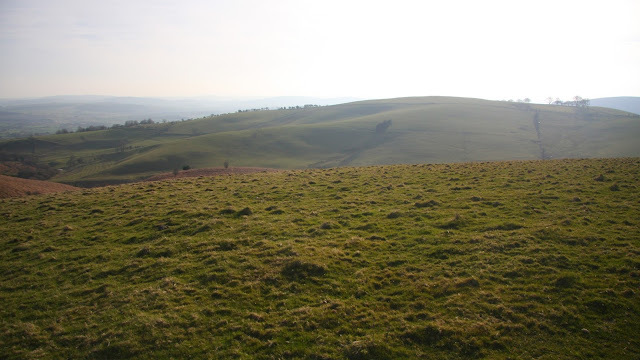 The hill is situated in the Welsh Borders and is placed in Region 38, Section 38A with its Cardinal Hill being Cilfaesty (SO 128 840). The hill is positioned above the A 488 road which is to its west, and has a number of B roads then encircling it with the B 4385 to its north, the B 4368 to its south and the continuation of the B 4385 to its east, and is situated between the small towns of Bishop’s Castle towards its north and Clun to its south-west. This hill was not included in the listing that is now known as The Fours when originally compiled as it did not at that stage include a sub-list to the hills at and above 390m and below 400m in height. When this list was subsequently uploaded to the RHB Yahoo group file database and data then augmented from Clem Clements it appeared listed as; Sunnyhill (Bury Ditches). Subsequently the hill was listed as Sunnyhill in the 1st edition of The Fours when the list was published by Europeaklist in December 2013. 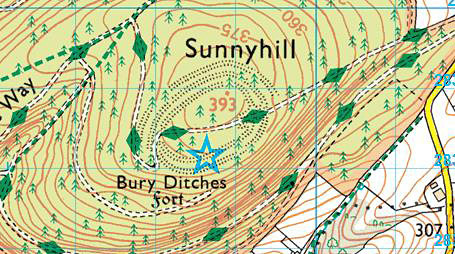 Hill list authors are prone to list a hill by the name that appears nearest to its summit on contemporary Ordnance Survey maps, without much consideration for its local or historical confirmation, or whether map placement is appropriate, and in the case of this hill there are two names that are consistently applied near to its summit on different scaled Ordnance Survey maps, these names are Bury Ditches and Sunnyhill. With time and inclination place-name data can be improved either by asking local people or by examining historical documents, through this form of research the prioritised locally known name for the hill can usually be found, and in this case it was an on-site visit and research conducted locally by Myrddyn Phillips that deduced the locally known contemporary name for this hill is Bury Ditches, with the caveat that historical documentation gives the older name for the hill as Tongley Hill. Therefore, the name this hill will be listed by in the 2nd edition of The Fours due for publication in early 2018 by Mapping Mountains Publications is Bury Ditches and this was derived from an on-site visit, historical and contemporary Ordnance Survey maps and local enquiry. 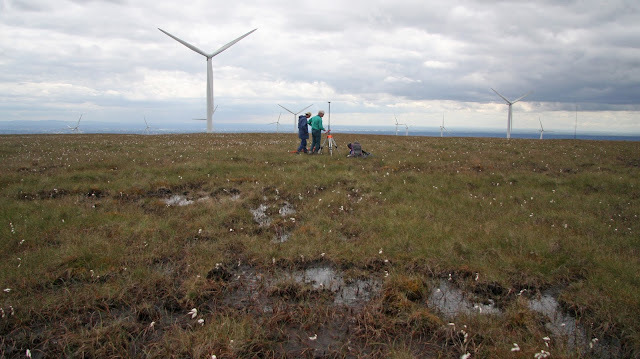 There has been a Significant Name Change to a hill that is listed in The Fours, with the summit height and drop of the hill confirmed by a Trimble GeoXH 6000 survey conducted by Myrddyn Phillips which took place on the 22nd March 2015. The hill is situated in the Welsh Borders and is placed in Region 38, Section 38A with its Cardinal Hill being the Stiperstones (SO 367 986). 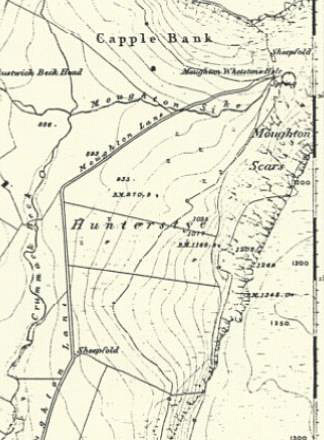 The hill is positioned above the River West Onny to its west and the River East Onny to its east and is encircled by a number of minor lanes, and has the small community of the Bridges towards the north-east and Wentnor towards the south-east. 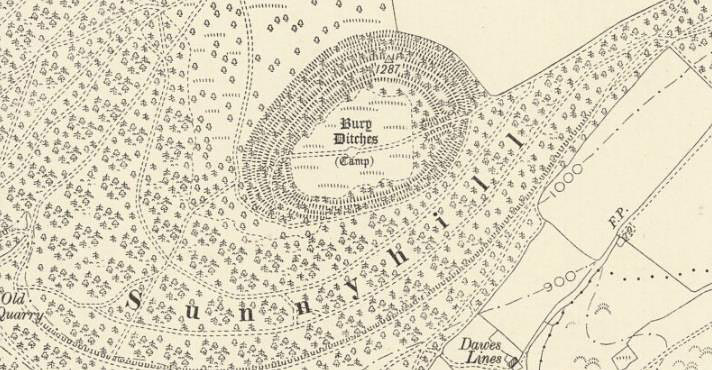 When the listing that is now known as The Fours was originally compiled this hill appeared under the name of Norbury Hill, this was also the name it appeared as when the list was uploaded to the RHB Yahoo group file database. Subsequently the hill was listed as Linley Hill in the 1st edition of The Fours when the list was published by Europeaklist in December 2013. 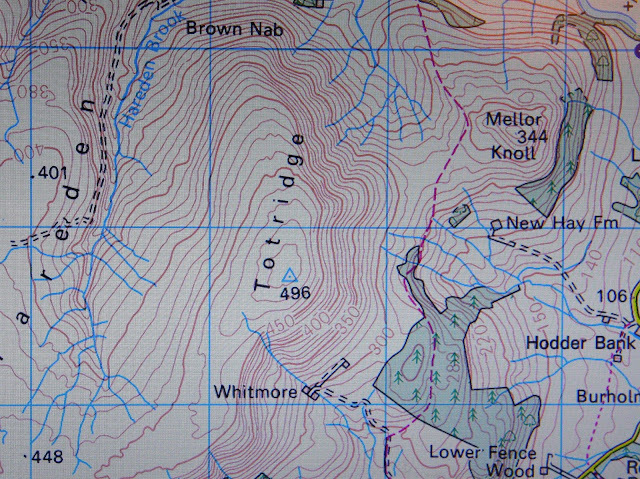 Hill list authors are prone to list a hill by the name that appears nearest to its summit on contemporary Ordnance Survey maps, without much consideration for its local or historical confirmation, or whether map placement is appropriate, and in the case of this hill there are two names that are consistently applied near to its summit on different scaled Ordnance Survey maps, these names are Norbury Hill and Linley Hill. With time and inclination place-name data can be improved either by asking local people or by examining historical documents, through this form of research the prioritised locally known name for the hill can usually be found, and in this case it was research conducted by Aled Williams with the local farming community where the name for the hill was consistently given as Linley Hill. 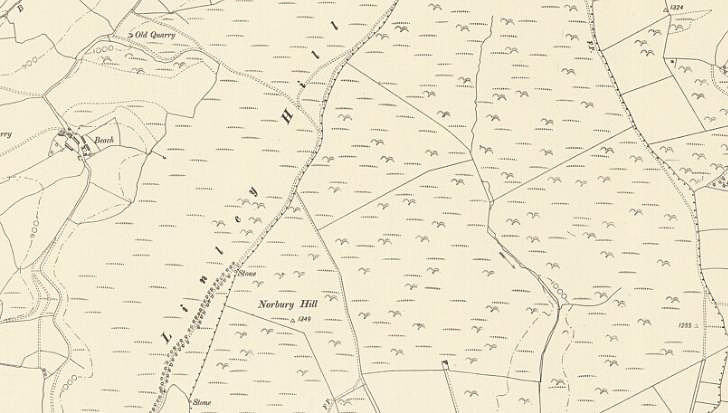 Therefore, the name this hill is now listed by in The Fours is Linley Hill and this was derived from historical and contemporary Ordnance Survey maps and substantiated by local enquiry. 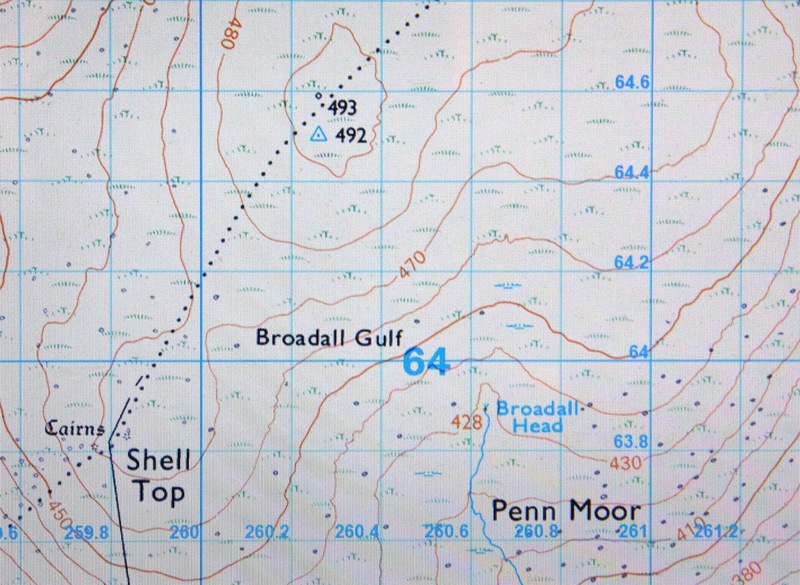 There has been a Significant Name Change to a hill that is listed in The Fours, with the summit height of the hill confirmed by a Trimble GeoXH 6000 survey conducted by Myrddyn Phillips which took place on the 10th March 2015. 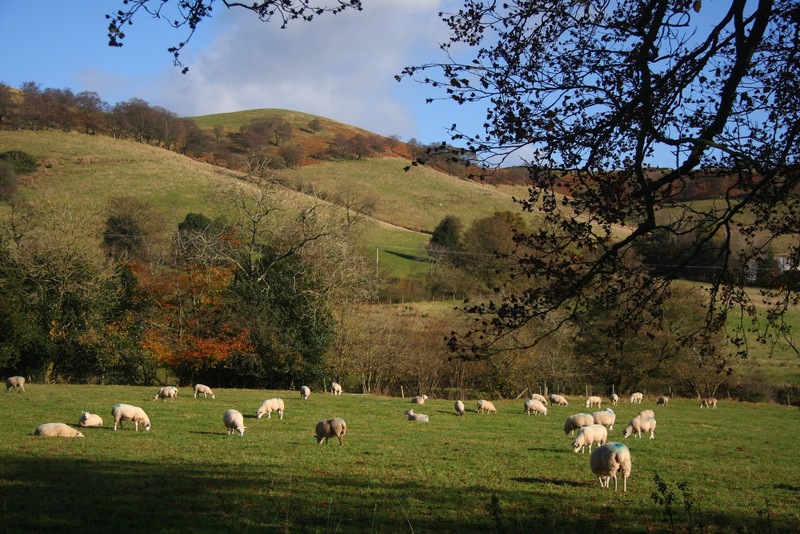 The hill is situated in the Welsh Borders and is placed in Region 38, Section 38A with its Cardinal Hill being Cilfaesty (SO 128 840). The hill is positioned above a number of minor roads and has the River Clun to its north and the River Teme to its south, and has the small community of Newcastle to its north-east and the town of Clun to its east. 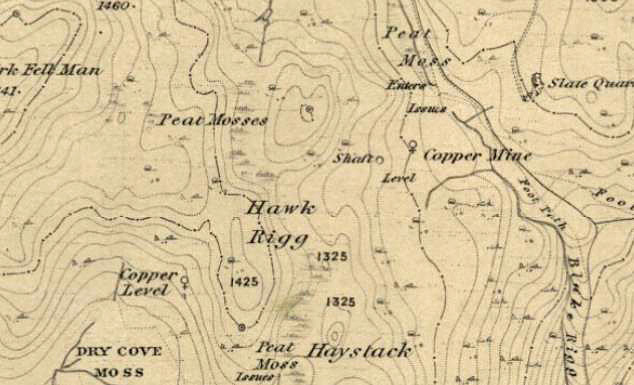 When the listing that is now known as The Fours was originally compiled this hill appeared under the name of Hurgin North Top, the name was then given as Garn Rock Hill~ (Hurgin: N Top) when this list was uploaded to the RHB Yahoo group file database and data then augmented from Clem Clements. 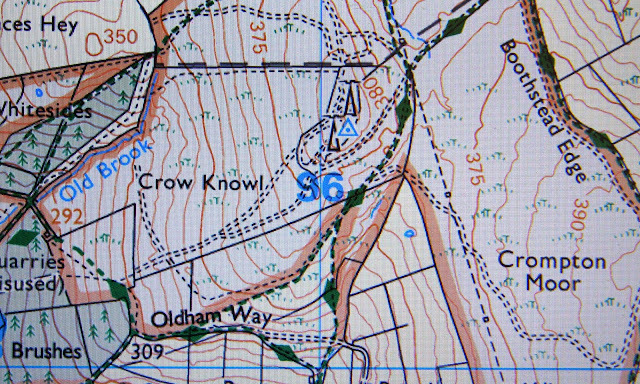 During my early hill listing I thought it appropriate to either invent a name for a hill, or use a name that appeared near to the summit of the hill on Ordnance Survey maps of the day. 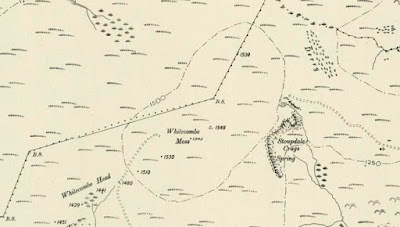 This included using a directional name, which supplants the name of another hill as that for the hill in question and adding a directional element to it, as in; Hurgin North Top. 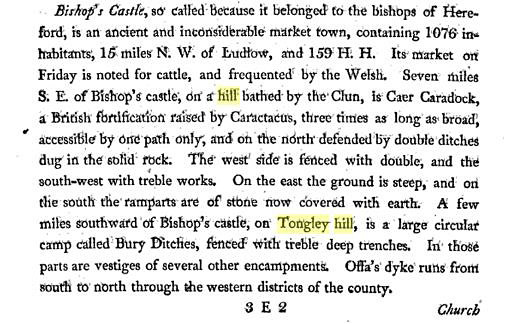 This is not a practice that I now advocate as with time and inclination place-name data can be improved either by asking local people or by examining historical documents, through this form of research an appropriate name for the hill can usually be found, and in this case the name Stoney Pound Hill was derived through research conducted by Aled Williams with the local farming community. 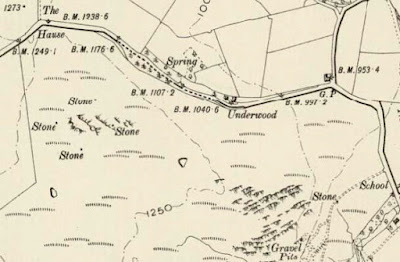 Therefore, the name this hill is now listed by in The Fours is Stoney Pound Hill and this was derived from local enquiry. 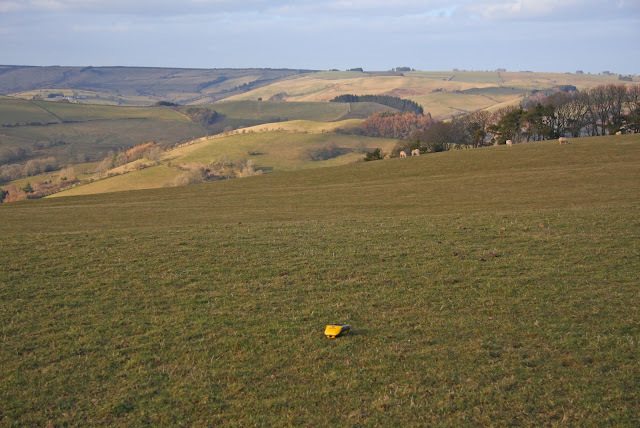 There has been a Significant Name Change to a hill that is listed in The Fours, with the height, drop and status of the hill confirmed by a Trimble GeoXH 6000 survey conducted by Myrddyn Phillips which took place on the 10th March 2015. The hill is situated in the Welsh Borders and is placed in Region 38, Section 38A with its Cardinal Hill being Cilfaesty (SO 128 840). 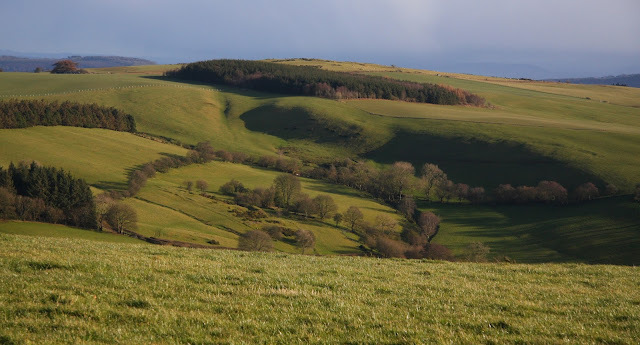 The hill is positioned above a number of minor roads and has Offa’s Dyke and its long distance footpath to its east, and has the small community of Newcastle to its north and the village of Llanfair Waterdine to its south. 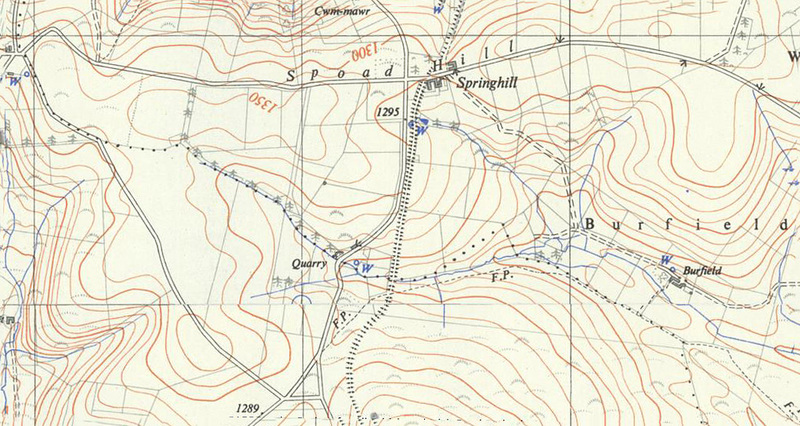 Hill list authors are prone to list a hill by the name that appears nearest to its summit on contemporary Ordnance Survey maps, without much consideration for its local or historical confirmation, or whether map placement is appropriate, and in the case of Spoad Hill this name appears on a number of different scaled Ordnance Survey maps and has been consistently applied to the west – east orientated road at a crossroads to the north-east of this hill’s summit close to where Springfield Farm is positioned and not necessarily to the hill itself. This form of supplanting a name is not a practice that I now advocate as with time and inclination place-name data can be improved either by asking local people or by examining historical documents, through this form of research an appropriate name for the hill can usually be found. 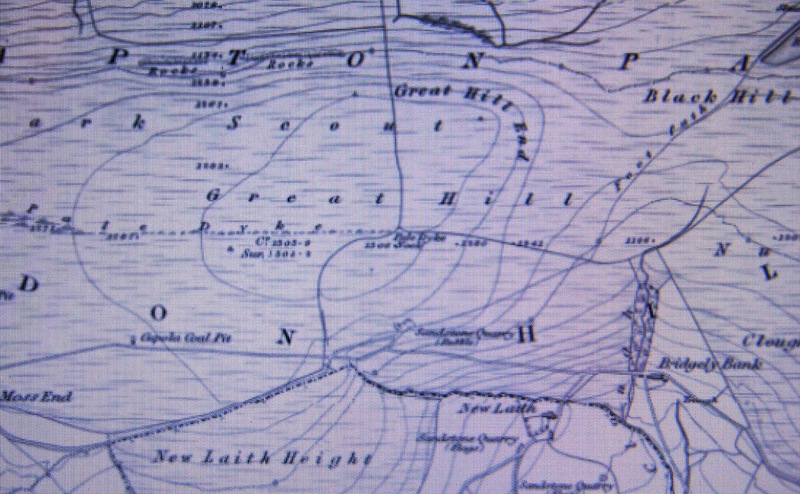 However, on occasion even after local or historical research an appropriate name for a hill cannot be substantiated and in the case of this hill it was Aled Williams who undertook research with a number of local farmers, all of whom failed to give a name for this hill and importantly were of the opinion that it was not named Spoad Hill, during this research information was given that the adjacent open access land to this hill’s summit is known locally as The Turbary. Therefore, as the authors do not know a name for this hill that has local or historical evidence of use, the point (Pt. 425.4m) notation is being used in preference to using a supplanted name where the authors have not found evidence that it applies to the hill itself. Prior to the 1st edition of The Fours being published by Europeaklist in December 2013 this hill was not included in this list, therefore although there is no change in this hill’s listed name within The Fours it is worth categorising under the heading of Significant Name Changes as the name this hill is now listed by uses the point (Pt. 425.4m) notation and diverges from that used in the RHB Yahoo group file database. Therefore, the name this hill is now listed by in The Fours is Pt. 425.4m and this follows the standard practice of using the point notation for hill’s whose name has not been substantiated either through local enquiry or from historical documentation. 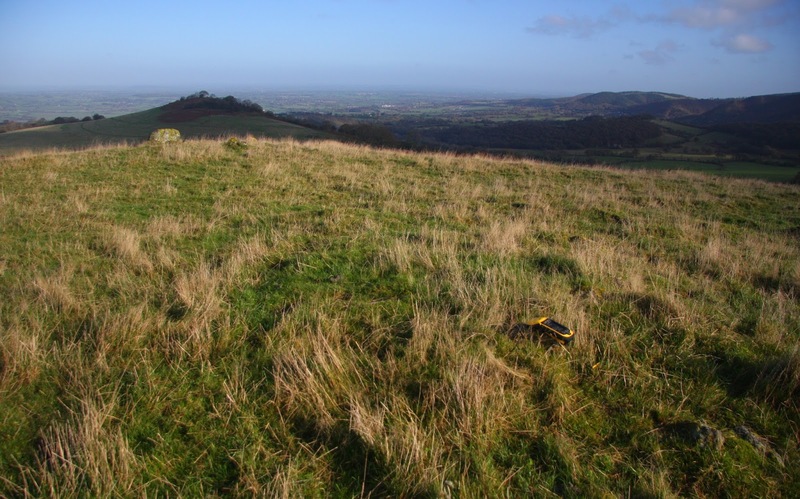 There has been a Significant Name Change to a hill that is listed in The Fours, with the height, drop and status of the hill confirmed by a Trimble GeoXH 6000 survey conducted by Myrddyn Phillips which took place on the 5th November 2014. The hill is situated in the Welsh Borders and is placed in Region 38, Section 38A with its Cardinal Hill being the Stiperstones (SO 367 986). 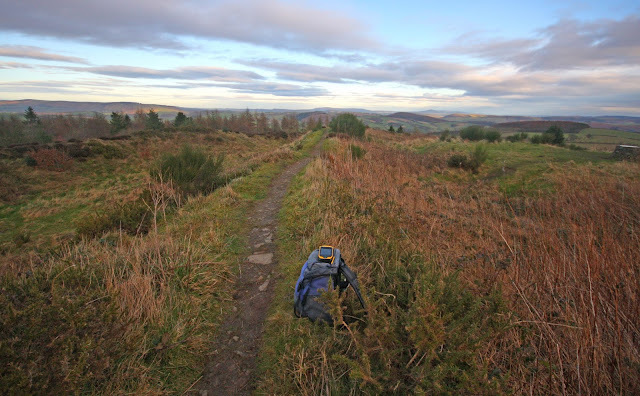 The hill is positioned above a number of minor lanes with the one to its south-west being a part of the Shropshire Way, and has the small communities of Stiperstones towards its north-west and Picklescott towards its east north-east. This hill was not included in the listing that is now known as The Fours when originally compiled as it did not at that stage include a sub-list to the hills at and above 390m and below 400m in height. When this list was subsequently uploaded to the RHB Yahoo group file database and data then augmented from Clem Clements it appeared listed as; unnamed summit~. 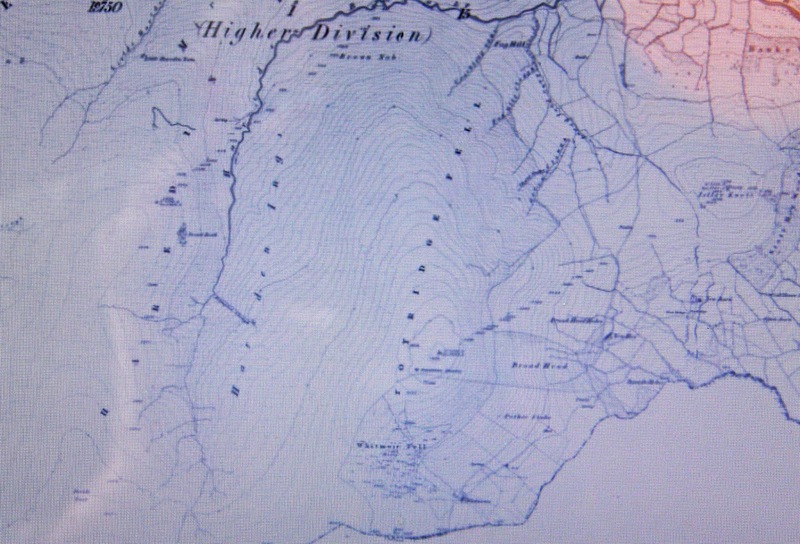 These data were then duplicated by Mark Jackson to form this height band within the Tumps and this hill is now listed as Gatten Hill within that list, presumably so as there are a number of buildings positioned near to this hill with the name Gatten applied to them on contemporary Ordnance Survey maps, such as Gatten Lodge, Far Gatten and Near Gatten Farm. Although I am of firm belief that listed hill names used by other authors should be respected when giving detail within other people’s lists, the practice of inventing a hill name based on the proximity of buildings near to where it is situated is not a practice that I now advocate as with time and inclination place-name data can be improved either by asking local people or by examining historical documents, through this form of research an appropriate name for the hill can usually be found, and this hill now appears under the name of Walker’s Bank in The Fours due to research conducted by Aled William’s with local farmers. Prior to the 1st edition of The Fours being published by Europeaklist in December 2013 this hill was not included in this list, therefore although there is no change in this hill’s listed name within The Fours it is worth categorising under the heading of Significant Name Changes as the name this hill is now listed by comes from local enquiry. 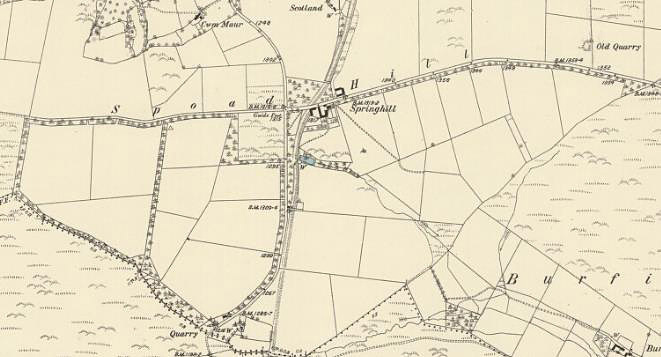 Therefore, the name this hill is now listed by in The Fours is Walker’s Bank and this was derived from local enquiry. Accompanying the main list of The Fours are three categories of sub hills, with this hill being reclassified to the 390m Sub-Four category. The criteria for 390m Sub-Four status are all English hills at or above 390m and below 400m in height that have a minimum 30m of drop. The hill is situated in the Welsh Borders and is placed in Region 38, Section 38A with its Cardinal Hill being the Stiperstones (SO 367 986). The hill is positioned above the A 488 road and the upper reaches of the Hope Valley which are to its north-west, and has the small community of Snailbeach towards the north-east. 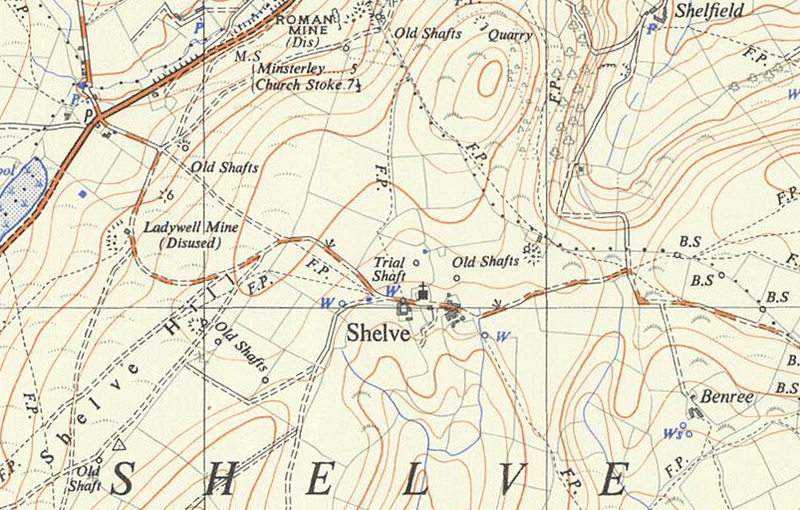 Hill list authors are prone to list a hill by the name that appears nearest to its summit on contemporary Ordnance Survey maps, without much consideration for its local or historical confirmation, or whether map placement is appropriate, and in the case of Shelve Hill this name has been consistently applied by the Ordnance Survey to land south-west of this hill’s summit and approximately 1km from it. This is not a practice that I now advocate as with time and inclination place-name data can be improved either by asking local people or by examining historical documents, through this form of research an appropriate name for the hill can usually be found, and in the case of this hill it was research conducted by Aled Williams with a local farmer who gave the name of The Cold Piece for this hill. When the listing that is now known as The Fours was originally compiled this hill appeared under the name of Shelve Hill, this was also the name it appeared as when the list was uploaded to the RHB Yahoo group file database. Subsequently the hill was listed as The Cold Piece in the 1st edition of The Fours when the list was published by Europeaklist in December 2013. Hill list authors are prone to list a hill by the name that appears nearest to its summit on contemporary Ordnance Survey maps, without much consideration for its local or historical confirmation, or whether map placement is appropriate, and in the case of Shelve Hill this name has been consistently applied by the Ordnance Survey to land south-west of this hill’s summit and approximately 1km from it. This is not a practice that I now advocate as with time and inclination place-name data can be improved either by asking local people or by examining historical documents, through this form of research an appropriate name for the hill can usually be found, and in this case it was research conducted by Aled Williams with a local farmer who gave the name of The Cold Piece for this hill. Therefore, the name this hill is now listed by in The Fours is The Cold Piece and this was derived from local enquiry. 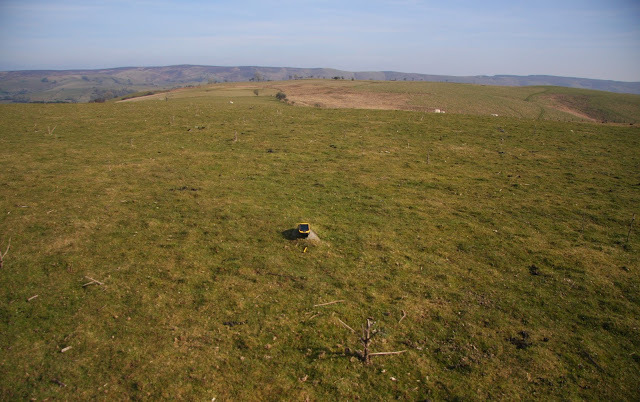 There has been a Significant Name Change to a hill that is listed in The Fours, with the height, drop and status of the hill confirmed by a Trimble GeoXH 6000 survey conducted by Myrddyn Phillips which took place on the 19th February 2014. The Fours – English hills at and above 400m and below 500m in height that have 30m minimum drop. The criteria for 400m Sub-Four status are all English hills at and above 400m and below 500m in height that have 20m and more and below 30m of drop. The hill is situated in the Welsh Borders and is placed in Region 38, Section 38A with its Cardinal Hill being the Stiperstones (SO 367 986). 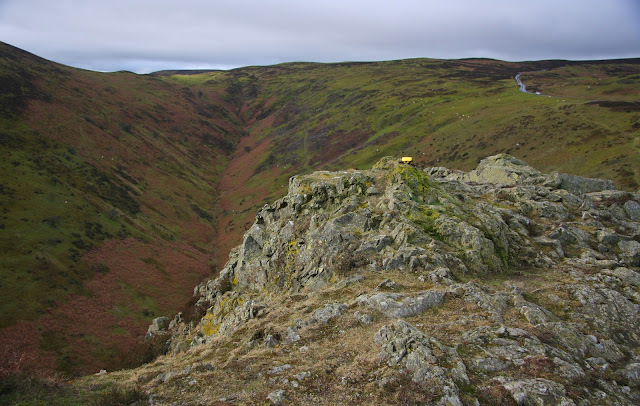 The hill is a part of the Long Mynd and is positioned above the Carding Mill Valley to its north and the Townbrook Valley to its south, and has the town of Church Stretton to its east. When the listing that is now known as The Fours was originally compiled this hill appeared under the name of Devil’s Mouth, this was also the name it appeared as when the list was uploaded to the RHB Yahoo group file database. Subsequently the hill was listed as Burway Hill in the 1st edition of The Fours when the list was published by Europeaklist in December 2013. 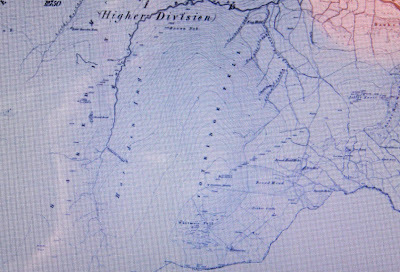 During my early hill listing I paid little regard to name placement on a map, or the meaning of names and to what feature the name was appropriately applied to, and used many names that seemingly applied to a hill and whose placement was nearest the summit of the hill on Ordnance Survey maps of the day. Therefore I prioritised names for listing purposes that I now understand are inappropriate or where another name is viewed as being more appropriate, and Devil’s Mouth is such an example as this name has been consistently applied by the Ordnance Survey on maps that are viewed as being good for name placement such as the Six-Inch series and the 1:25,000 Historical map, to land immediately above the Devilsmouth Hollow which is a steep stream valley to the north-east of this hill, with the Devil’s Mouth the narrow neck of land where an ancient cross-dyke is situated with Burway Hill to the east of this point and the main Long Mynd plateau to the west. Therefore, the name this hill is now listed by in The Fours is Burway Hill and this was derived from historical Ordnance Survey maps. There has been a Significant Name Change to a hill that is listed in The Fours, with the summit height of the hill having been determined by a Leica 530 survey conducted by John Barnard, Graham Jackson and Myrddyn Phillips which took place on the 8th July 2009. The hill is situated in the Southern Pennines and is placed in Region 36, and is a Cardinal Hill. The hill is positioned above a number of A roads with the A 681 to its north, the A 680 to its south-west and the A 671 to its east, and has the towns of Rawtenstall and Bacup to the north-west and north-east respectively and Rochdale to the south-east. When the listing that is now known as The Fours was originally compiled this hill appeared under the name of Cowpe Moss, the name was then given as Hailstorm Hill (Cowpe Moss) when this list was uploaded to the RHB Yahoo group file database. Subsequently the hill was listed as Hailstorm Hill in the 1st edition of The Fours when the list was published by Europeaklist in December 2013. 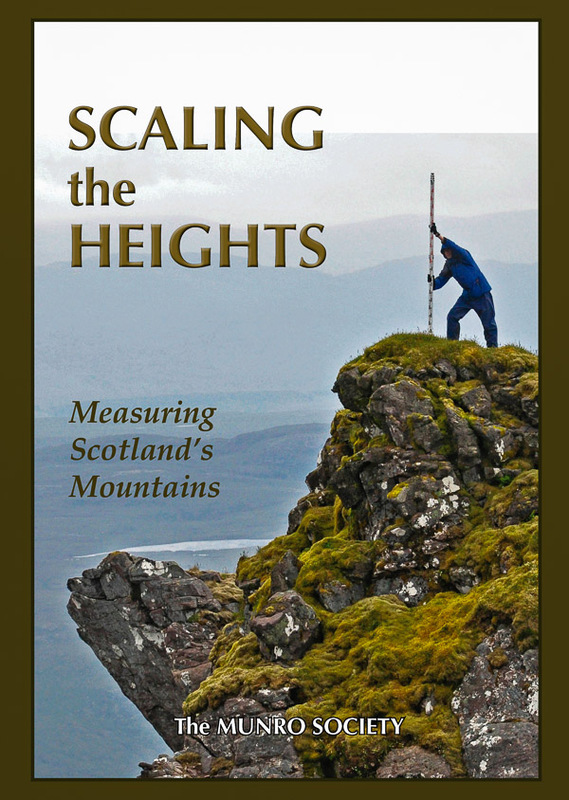 The hill is now reverting to its original listed name for the 2nd edition of The Fours published by Mapping Mountains Publications. Therefore, the name this hill is now listed by in The Fours is Cowpe Moss and this was derived from contemporary Ordnance Survey maps.